ALL the Pieces of the puzzle YOU were never meant to know. "Knowing is different from belief. Knowing involves the assumption of certainty." This Journey will start from the beginning of time and piece everything together to form the greatest Story ever denied. And in life, there are Questions ? from the Beginning of time and piece everything together. 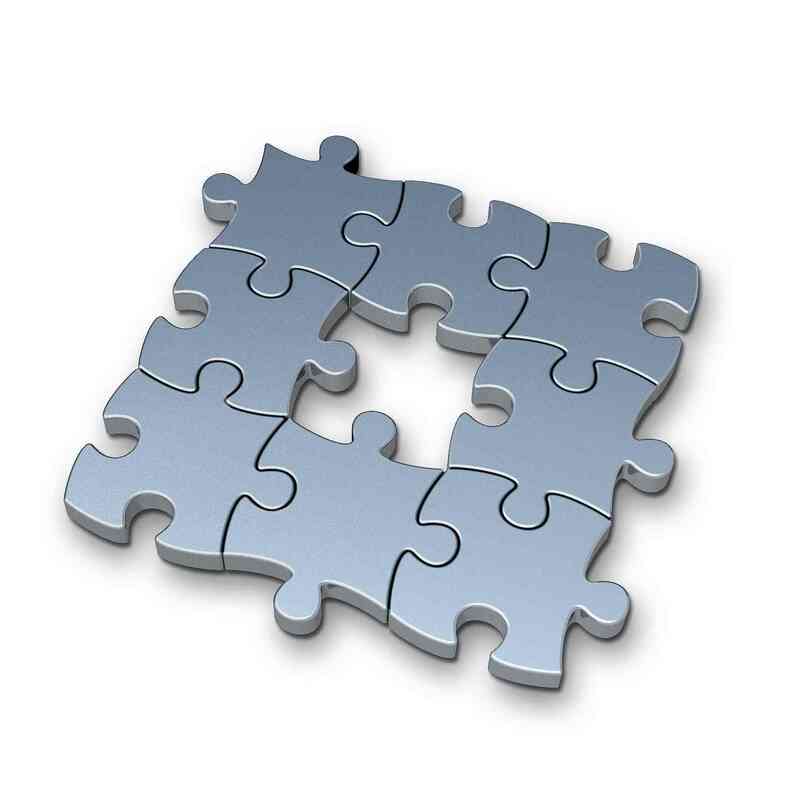 "Putting all the Pieces together"
is like pieces of a puzzle. The More information Gathered, the clearer the Picture Becomes. Project Pzzled is about fitting all the pieces together..
Have you ever wondered are you alone in the universe. Maybe you have seen things you cant explain. 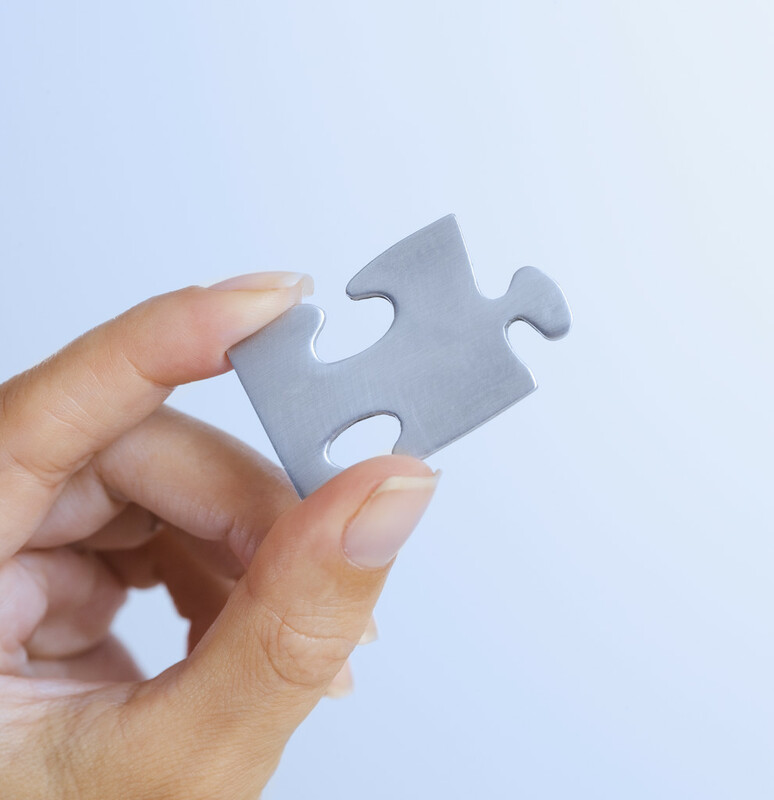 Lets find the answers and connect the pieces to form the larger picture ! YOU WILL SEE THE WORLD DIFFERENTLY. "All material used on this website is intended for educational purposes, No copyright intended"
can tie in with everything else to create the overall larger Picture. One Piece of Information by itself has no merit. The more information you Gather, the Clearer the Picture Becomes. There are 6 Pages on this Website that Make up the Complete Picture. Page 5, AND EVERYTHING IN BETWEEN. "Then, and only then will you see." was created some 10 to 20 billion years ago in a leviathan explosion dubbed the "Big Bang". and it's fair to say that we know little if anything about the first instant of creation. dense than it is today. that might explain how the universe began"
Fifty years ago, many scientists thought it possible that the universe had always existed. and "pulsating" (the universe goes through regular cycles of expansion and contraction for all time). However these theories are no longer believed by most scientists, and it is generally considered "proven" that the universe began about 14 billion years ago with the "big bang". 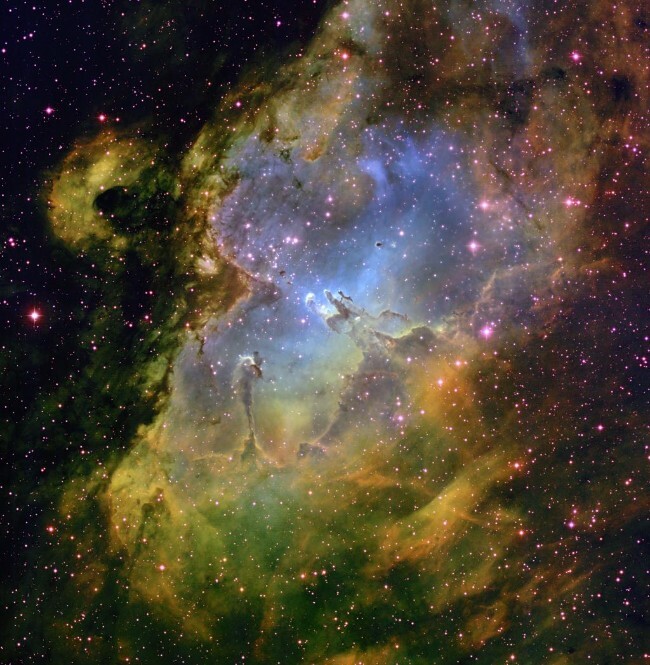 A striking image showing the ghost of the Big Bang has been captured by a new space telescope. It is designed to scan the sky with instruments sensitive to nine different bands of normally invisible microwave light. Picking up cosmic microwaves makes it possible to see the "afterglow" of radiation produced by the Big Bang that gave birth to the universe around 14 billion years ago. Known as the Cosmic Microwave Background (CMB), it contains information that can help scientists piece together what happened when the universe began. with the yellow-mottled CMB above and below it. The radiation was released as the first atoms were forming, just 400,000 years after the Big Bang brought matter, space and time into existence. "Planck has 'painted' us its first spectacular picture of the universe. This single image captures both our own cosmic backyard - the Milky Way galaxy that we live in - but also the subtle imprint of the Big Bang from which the whole universe emerged." The image shows dust strewn throughout the galaxy in blue, with a red band across the center showing hot regions. Variations in the CMB backdrop represent minute differences in the temperature and density of matter when the galaxies had not yet formed. 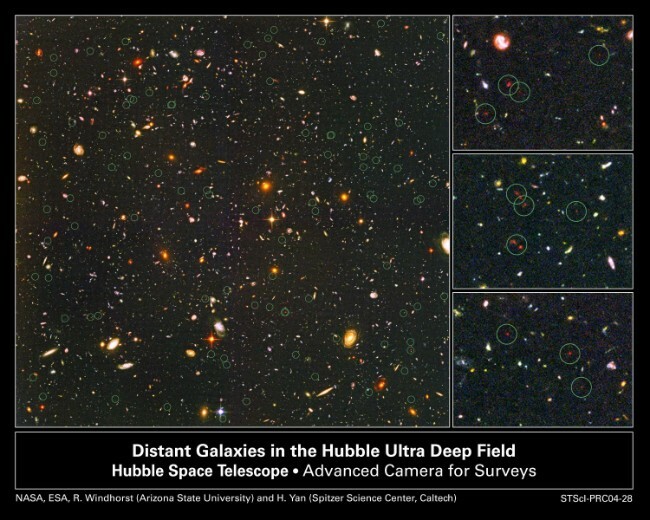 Over time, these small irregularities evolved into denser regions that eventually became the galaxies of today. 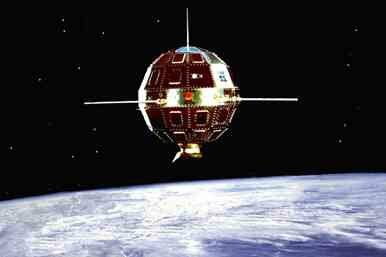 Several UK institutions have been involved in the design, construction and operation of the Planck satellite. Professor Peter Ade, from the University of Cardiff, one of the team in charge of Plank's High Frequency Instrument, said: "At last we can see the realization of the full potential of Planck, showing in exquisite detail our own Milky Way galaxy superimposed on the relic fireball background. It is a fantastic result for this unique satellite, and demonstrates once again that you can only do pioneering science by using advanced and therefore high risk technologies." Dr David Clements, another Planck scientist from Imperial College London, said: "Just looking at the pictures you can tell we're seeing new things about the structure of our galaxy. Once we've done that, and stripped away these foregrounds, then it's on to the Cosmic Microwave Background and the glow of the Big Bang itself." The big question scientists want to answer is whether the CMB can reveal the cosmic signature of inflation, an incredibly fast expansion of the universe that it supposed to have occurred just after the Big Bang. In physical cosmology, the Big Bang is the scientific theory of how the universe emerged from a tremendously dense and hot state about 13.7 billion years ago. The Big Bang theory is based on the observed Hubble's law redshift of distant galaxies that when taken together with the cosmological principle indicate that space is expanding according to the Friedman-Lemaitre model of general relativity. Extrapolated into the past, these observations show that the universe has expanded from a state in which all the matter and energy in the universe was at an immense temperature and density. Physicists do not widely agree on what happened before this, although general relativity predicts a gravitational singularity. The existence of the CMB radiation was first predicted by Ralph Alpher, Robert Herman, and George Gamow in 1948, as part of their work on Big bang Nucleosynthesis. It was first observed inadvertently in 1965 by Arno Penzias and Robert Wilson at the Telephone Laboratories in Murray Hill, New Jersey. The radiation was acting as a source of excess noise in a radio receiver they were building. Coincidentally, researchers at nearby Princeton University, led by Robert Dicke and including Dave Wilkinson of the WMAP science team, were devising an experiment to find the CMB. When they heard about the Bell Labs result they immediately realized that the CMB had been found. The result was a pair of papers in the Astrophysical Journal (vol. 142 of 1965): one by Penzias and Wilson detailing the observations, and one by Dicke, Peebles, Roll, and Wilkinson giving the cosmological interpretation. Penzias and Wilson shared the 1978 Nobel prize in physics for their discovery. Is there a scientific explanation, was it god, or what? 3. nothing caused it but it began anyway. and the almost universal acceptance of the big bang virtually rule this out. some sort, but some believe our universe could have resulted from a previous universe. is the best explanation of the first universe. people, especially scientists who avoid "supernatural" explanations. but the universe is here, so one of them must most likely be true. All views have their supporters, but none can be proven or dis proven. Each of us can decide. I believe in God - what do you think? God, Meaning the Creator, or creator's has so many meanings and terms used by early Humans all around the world. They are worshiped and revered just by faith in the belief that there is a higher power. 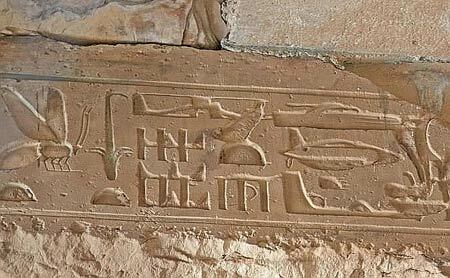 Interpreted by humans thousands of years ago. Seeing Something that they could not understand. These are an example of how many god's are worshiped on our planet Earth..
in the Christian bible it states, these beings have created man in there image after there likeness. Created, creation being From the Greek root kreas, which means flesh.When something new is made.Biblically, when producing something from nothing. The divine act by which, according to various religious and philosophical traditions, the world was brought into existence. 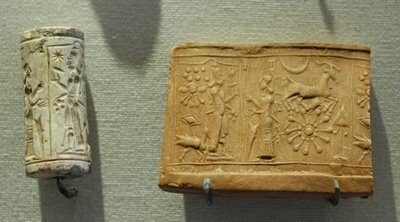 ('l) and Akkadian (ilu[m]), its etymology is uncertain. In the OT the word is always construed in the singular when it denotes the true God. In the Pentateuch the name elohim connotes a general concept of God; that is, it portrays God as the transcendent being, the creator of the universe. It does not connote the more personal and palpable concepts inherent in the name Yahweh. It can also be used to apply to false gods as well as to judges and kings. 1. Thou shalt have no other God but me. 2. Thou shalt not make any image of God. 3. Thou shalt not take the name of God in vain. When god is involved, science has no room. the ultimate mystery of the universe. from an ultra-hot, ultra-dense state. The Book of Genises, The Creation. Christians believe that God has three: the Father, Son (Jesus) and the Holy Spirit. 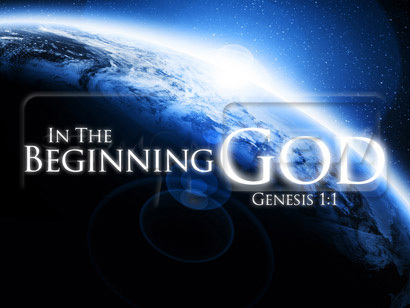 Genesis 1 and 2 in the old Testament of the Bible tells the Christian story of creation. On the fifth day, he created the creatures of the sea and air. On the sixth day, God created all kinds of living creatures on earth and made man in his own image. - of good and evil. But the serpent tempted Eve to eat the forbidden fruit, which she in turn gave Adam. They realized that they were naked and hid from God. But God knew of their sin and drove them to earth, to toil. Christian believe that man is the most important of God's creations. They refer to the 'fall' to find answers to suffering and death. cultures in the world. They propose the Dream time concept of creation. 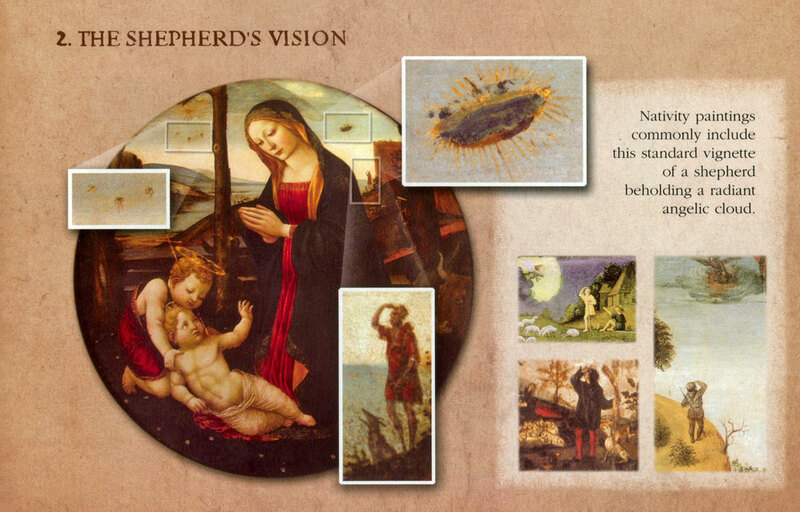 According to this creation story, land was once flat and barren. over the land and soon became a part of interesting adventures. fought, the eagle took one of emu's eggs and threw it into the air. that the dream time is not over, nor are the ancestors dead. life and being. Yin and yang are natural forces behind even the gods. the world and together they generate balance and harmony. 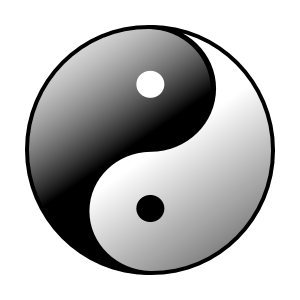 The belief is that yang created the sun and the moon came from yin. and hills and dug river valleys. One day P'an Ku collapsed and died. When he fell to the ground, his body became the five sacred mountains. them to make tools and houses, build boats, fish and plant. God. They did and God cast them out of Paradise, down to earth. But merciful God provided them with means of food, drink and shelter. here helps to explain one of the major Hindu beliefs - reincarnation. After each old universe is destroyed nothing is left but a vast ocean. Floating on this ocean, resting on the great snake Ananta, is Lord Vishnu. comes Lord Brahma. And it is from Lord Brahma that all creation comes. "So what do these stories all have in common"
"A being, the Creator or Creator's came from the Heavens and Created Man in his image after his likeness"
What are Your Opinions on God Vs Science ? 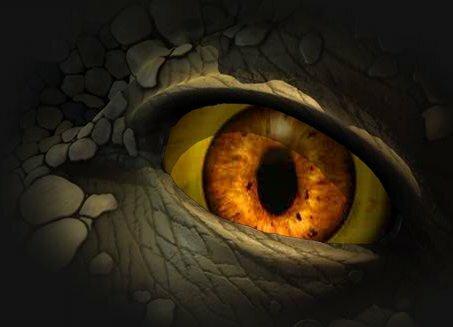 Allow information from both sides before making your decision"
In the beginning, before man, Dinosaurs roamed the earth and they reigned supreme for hundreds of millions of years. What caused these creatures to end there time on this planet. Before man walked the earth, there roamed very large creatures known as dinosaurs. These beings roamed planet earth and flourished for hundreds of millions of years. Dinosaurs are a diverse group of animals that were the dominant terrestrial vertebrates for over 160 million years, from the late Triassic period (about 230 million years ago) until the end of the Cretaceous (about 65 million years ago). The extinction of most dinosaur species occurred during the Cretaceous–Tertiary extinction event. The fossil record indicates that birds evolved within theropod dinosaurs during the Jurassic period. 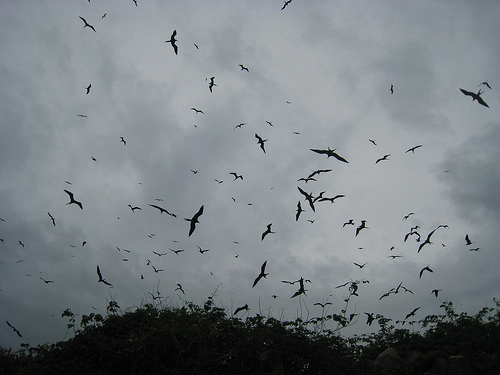 Some of them survived the Cretaceous–Tertiary extinction event, including the ancestors of all modern birds. Consequently, in modern classification systems, birds are considered a type of dinosaur—the only group of which that has survived to the present day. So, there are some dinosaurs that survived this so-called extinction event. 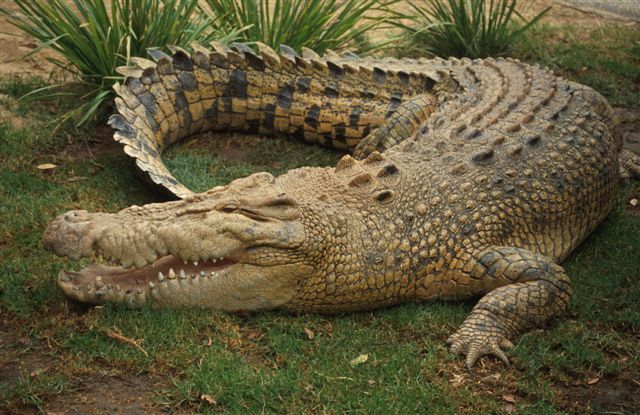 Some certain creatures like the crocodile are still here roaming around as they were in the age of the dinosaur. Apart from one big difference. They are allot smaller than there dinosaur counter-parts hundreds of millions of years ago. It appears, that not only crocodiles are smaller than they were millions of years ago, but also other creatures that survived this so-called extinction level event. Butterflies are to be known to have survived and are here with us today. But there dinosaur counter-parts were gigantic in comparison to our modern day butterflies. We know this is true based on fossil records. 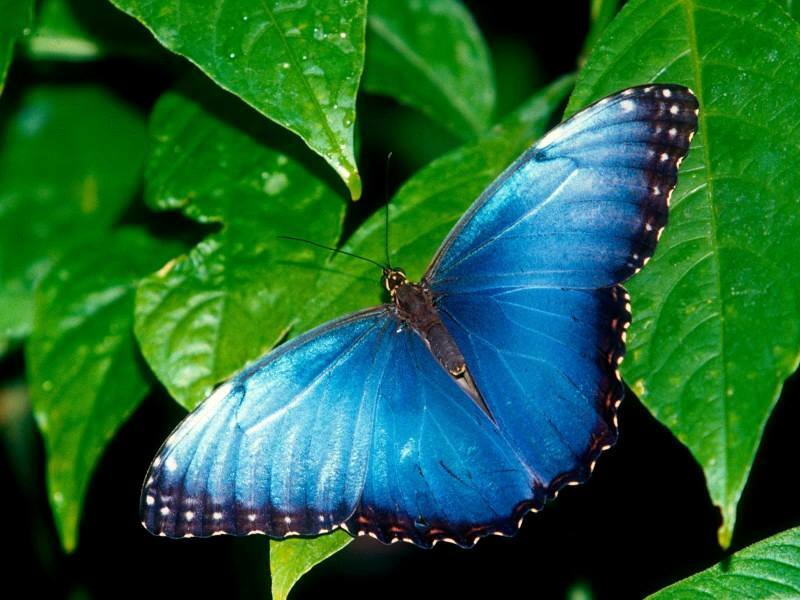 Fossils of butterflies are rare with the earliest butterfly fossils from the early Cretaceous period, about 130 million years ago. The development of the butterfly species is closely linked to the evolution of flowering plants (angiosperms) since both adult butterflies and caterpillars feed on flowering plants, and the adults are important pollinators to flowers. Even trees were bigger than the trees of modern times. 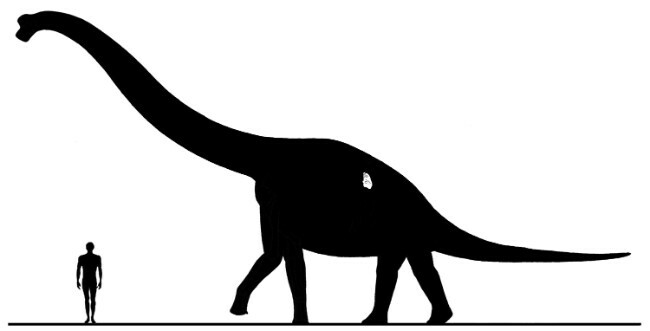 It seems that, not only the dinosaur were very large in comparison to any living creatures here in our modern times, but it appears that everything was large. Was it the atmosphere that made everything bigger at the time of the dinosaurs ? Maybe the oxygen they breathed was more pure. Some semi-precious stones which are made out of sticky tree sap, is notorious for trapping many prehistoric bugs and insects, turning them into glass fossils. These yellowish clear transparent stones also contain trapped air bubbles along with many preserved insects and other animals and plants that are tens of thousands of years old. Scientist discovered that the air trapped inside the Amber at the time of the dinosaur contained 32% oxygen compared to only 21% in the atmosphere we have today. There's a rise of carbon dioxide in our atmosphere that is man made since the age of the dinosaur. Plants use CO2 for food, so why aren't plants getting bigger since the source of there food is more abundant. Scientists have said that vegetables grown in zero-gravity conditions in space can grow to huge sizes, which could help solve the world’s food crisis. 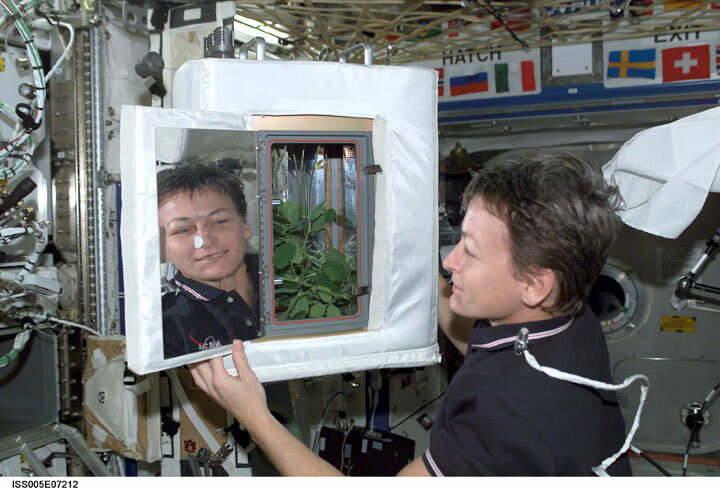 According to a report in the Telegraph , it is thought that the near zero gravity conditions in space result in super-sized fruit and vegetables with a higher vitamin content. This was also observed when Chinese researchers fired off a batch of 2,000 seeds into space in 2006 on the Shijian 8 satellite. 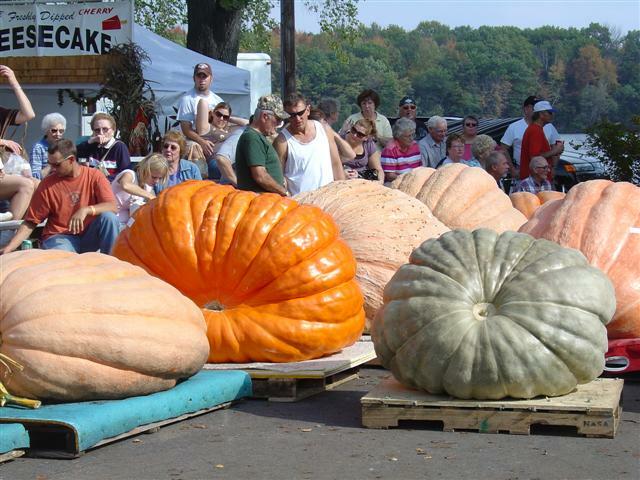 On their return, they were cultivated in giant Chinese hothouses producing over sized specimens, along with a host of other fruit and vegetables, like pumpkins, two-foot long cucumbers, 6.3 kg aubergines, and chili plants which resemble small trees. Also struggling for space in giant hothouses at the Guandong Academy of Agricultural Sciences are 9.5kg tomatoes and enormous watermelons. A total of 22 provinces are taking part in the program, coordinated by the China Academy of Sciences, and China says its giant fruit and vegetables have already been sold to Japan, Thailand and Singapore. There has also been interest from European agricultural firms. 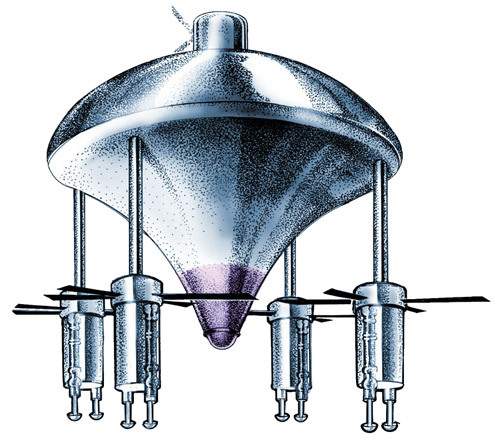 “Space seeds offer the opportunity to grow fruit and vegetables bigger and faster,” he added. Crucially, the plants are said to produce harvests, which are ten to 20% higher than normal – offering a rich source of food. So it appears that gravity played a part in the development of the dinosaurs and determines the size and height of the living creature, being plant or animal life in our time here, and the past. We know dinosaurs were large based on fossil findings around the world. And we can also determine at what point in time they lived based on carbon dating. Carbon dating is used by scientist to determine how old an object is considered to be by measuring the amount of radioactive isotopes the object has. When carbon dating is used in labs, sometimes the half life of elements just disappear or increase dramatically. This has puzzled some scientists and they have yet to come up with an explanation. Supposedly, by measuring the amount of the radioactive isotope, such as carbon 14, that is left in an organism, one can tell how long ago it existed. A formula is applied that calculates the rate of decay for the particular isotope that is being examined. This does not take into account anything that could have altered this rate, that is yet to be understood. Here is an example, Carbon 14 has a half life of 5730 years +- 30 years. The remaining amount has a half life again and that remaining amount has a half life again and so on. It seems to go on forever, but as it approaches 0 it is not measurable. The particular isotope Carbon 14 is only good for dating things that are a maximum of 23,000 years old. Other types of isotopes are used to measure the age of old things, such as dinosaur bones. 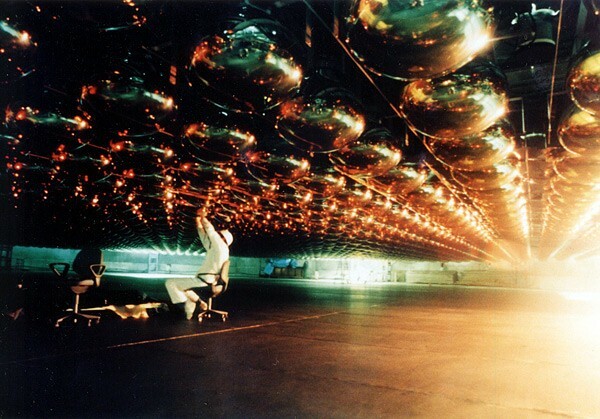 One thing that is known, is that things called neutrinos pass through us and everything on earth every day. 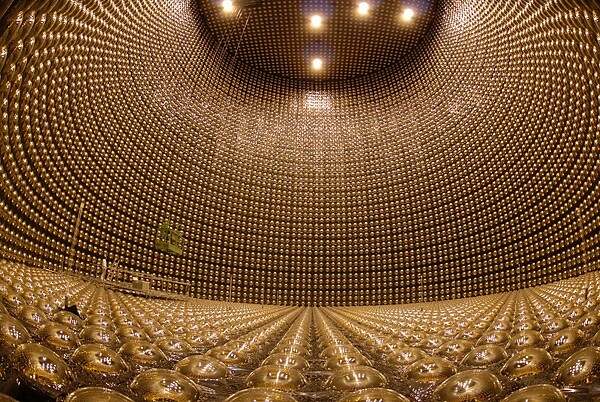 Neutrinos are said to be able to disrupt the accuracy of this type of dating, because they speed up the decay. The opposite is true for Argon gas which makes it look like there was no decay or very little. So now we see that carbon dating may not be accurate in the case of very old specimens. 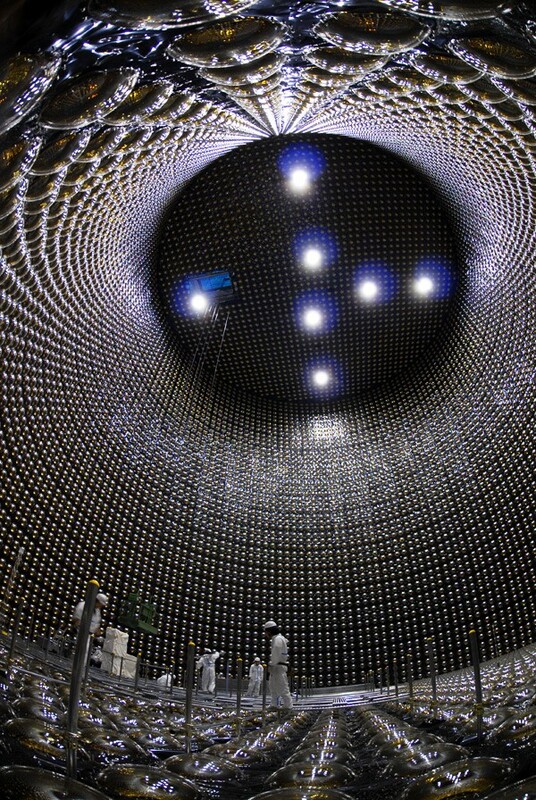 Super-Kamiokande of Super-K for short, a neutrino observatory in the city of Hida, Gifu Prefecture, Japan. The observatory was designed to search for proton decay, study solar and atmospheric neutrinos, and keep watch for supernovas in the Milky Way Galaxy. The observatory was designed to search for proton decay, study solar and atmospheric neutrinos, and keep watch for supernovas in the Milky Way Galaxy. Super-K is run by The Institute for Cosmic Ray Research (ICRR) which sounds like a place from a Fantastic Four storyline. The significance of this research may change our future and open new area's of science. But for the meantime, we can use carbon dating and measure such elements as neutrinos and argon gas to get a fair idea of what date an object might be. Dating dinosaurs and other ancient objects may still some what of a debate amongst the science world, however, this seems to be the best way we can estimate a certain time period of which the object originated from. Our world may be different to what we have been taught. That stands for Out of Place Artifacts. old and what appears to be a bullet hole in the skull of a mastodon. Taylor Site, Paluxy Riverbed, 1984. 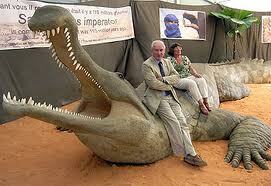 Suppose that man and dinosaur co-existed at the the same ? Most people would think that sounds crazy, but there are genuine people with credible credentials that support this idea. The Taylor Site contains several trackways of largely infilled, metatarsal dinosaur tracks once considered human footprints by many creationists, and a trail of deeper, more typical dinosaur tracks. 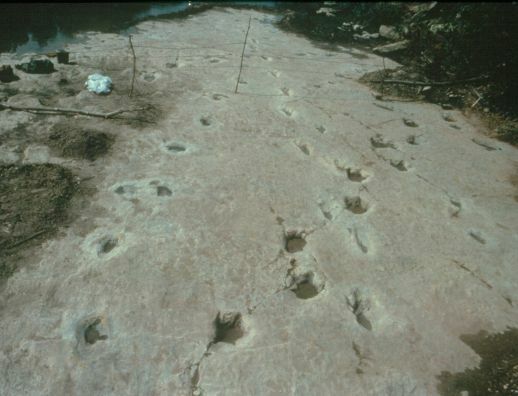 For many years claims were made by strict creationists that human footprints or "giant man tracks" occur alongside fossilized dinosaur tracks in the limestone beds of the Paluxy River, near Glen Rose Texas. If true, such a finding would dramatically contradict the conventional geologic timetable, which holds that humans did not appear on earth until over 60 million years after the dinosaurs became extinct. However, the "man track" claims have not stood up to close scientific scrutiny, and in recent years have been abandoned even by most creationists. The supposed human tracks have involved a variety of phenomena, including forms of elongate, metatarsal dinosaur tracks, erosional features, indistinct markings of uncertain origin, and a smaller number of doctored and carved specimens (most of the latter occurring on loose blocks of rock). A few individuals continue to promote the Paluxy "man tracks" or alleged human tracks in pre-Tertiary rocks from other localities, but such claims are not considered credible by either mainstream scientists or major creationist groups. Creationist believe the world is no older than 5000 thousands years old. Did Man and Dinosaur Live at the Same Time? This fossil might just prove it. A slab of North Texas limestone is on track to rock the world, with its two embedded footprints poised to make a huge impression in scientific and religious circles. 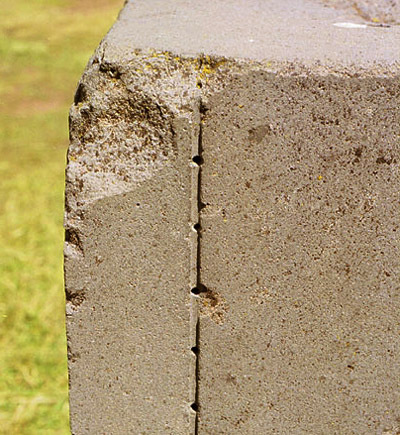 The estimated 140-pound stone was recovered in July 2000 from the bank of a creek that feeds the Paluxy River near Glen Rose, Texas, located about 53 miles south of Fort Worth. The find was made just outside Dinosaur Valley State Park, a popular destination for tourists known for its well-preserved dinosaur tracks and other fossils. 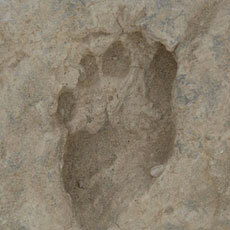 The limestone contains two distinct prints – one of a human footprint and one belonging to a dinosaur. The significance of the cement-hard fossil is that it shows the dinosaur print partially over and intersecting the human print. In other words, the stone’s impressions indicate that the human stepped first, the dinosaur second. If proven genuine, the artifact would provide evidence that man and dinosaur roamed the Earth at the same time, according to those associated with the find and with its safekeeping. It could potentially toss out the window many commonly held scientific theories on evolution and the history of the world. So there seems to be some supporting evidence for the possibility that man and dinosaur co-existed at some point. 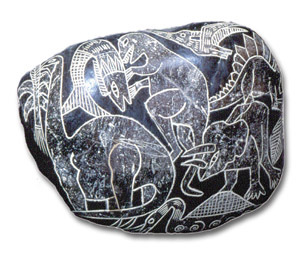 The most astounding evidence maybe the ica stones found in Peru that depict, what most would call dinosaurs. 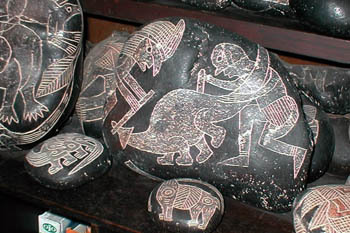 More ica stones depicting dinosaurs. Nazca line image that is very easily discernible. This image on the desert floor very clearly depicts a Theropod dinosaur standing on two hind legs with small front arms and tail extended straight outward. You may need to tilt your head to the left to see it better. 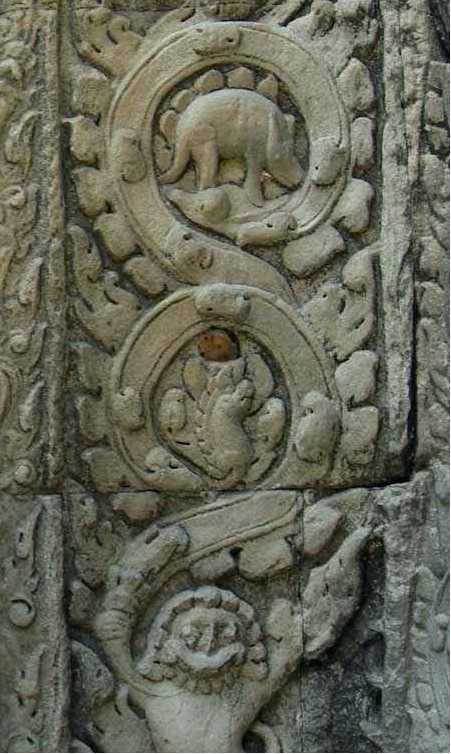 Carved on a pillar on the inside of the wall at the ancient Angkor temple Ta Prohm (build in the late 12th century) this strange animal, what appears to be a dinosaur. 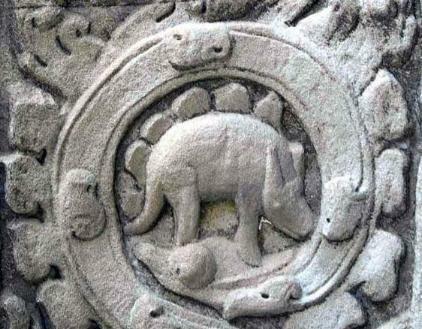 Most schoolkids will recognize this as a stegosaurus, a dinosaur that is extinct for a long period of time. So why is it on a pillar amongst many other animals. 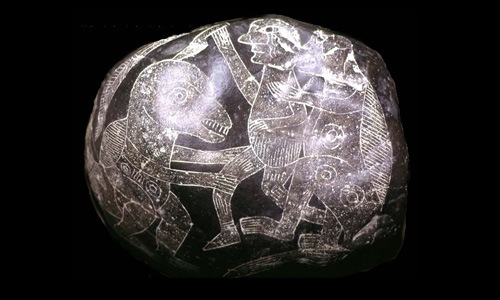 It seems the locals seen this creature and portrayed it as they would with any other creatures of there time, Still debate surrounds this finding of a supposed dinosaur carving. So why is it on a pillar amongst many other animals. It seems the locals seen this creature and portrayed it as they would with any other creatures of there time, Still debate surrounds this finding of a supposed dinosaur carving. It seems the locals seen this creature and portrayed it as they would with any other creatures of there time. 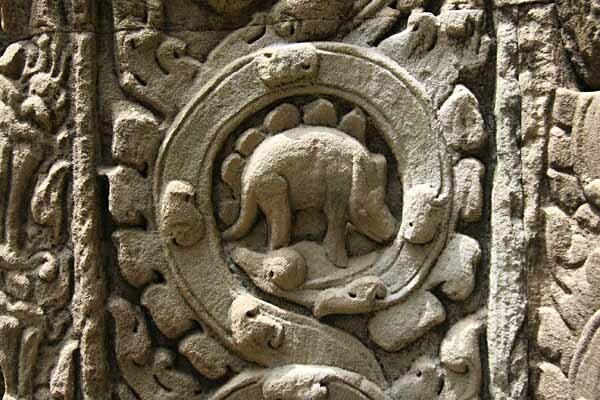 Still debate surrounds this finding of a supposed dinosaur carving found on the pillars of Cambodia. 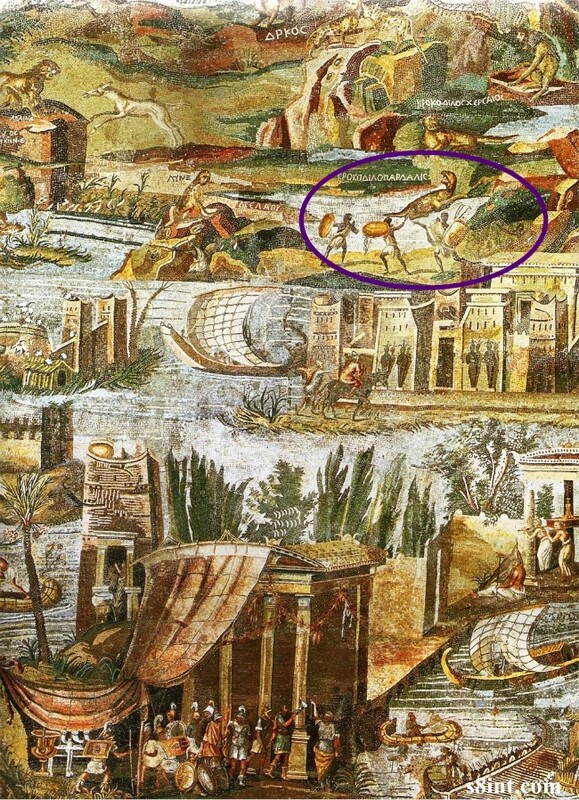 The Nile mosaic of Palestrina is a late Hellenistic mosaic depicting the Nile from Ethiopia to the Mediterranean. It has a width of 5, 85 meters and a height of 4, 31 meters and provides the only glimpse into the Roman fascination with Egyptian exoticism in the 1st century BC. The Nile Mosaic and its companion piece, the Fish Mosaic, were discovered in the Italian city of Palestrina, ancient Praeneste, in the early 17th century. They were thought to have been the vestiges of Sulla’s sanctuary of Fortuna Primigenia. The town was owned by the Barberini family, who unceremoniously removed the mosaic from its setting and put it on exhibit in Palazzo Barberini, Rome. The mosaic was repaired on numerous occasions before being returned to Palestrina in 1953.
in 1925 by a the German archeologist Waldenar Julsrud, when he discovered numerous dinosaur figurines buried at the foot of El Toro Mountain in the Valley of Acambaro about 180 miles North of Mexico City. 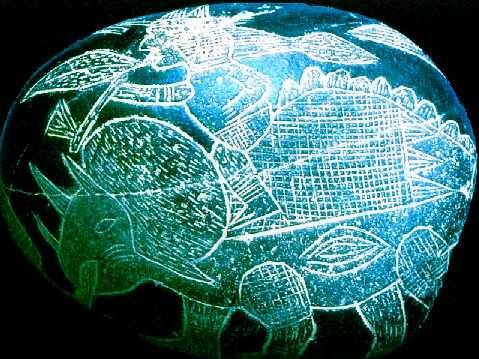 This was positive proof that the ancient civilizations of people who lived in these areas over four thousand years ago, had intimate first hand knowledge of what these dinosaurs looked like. 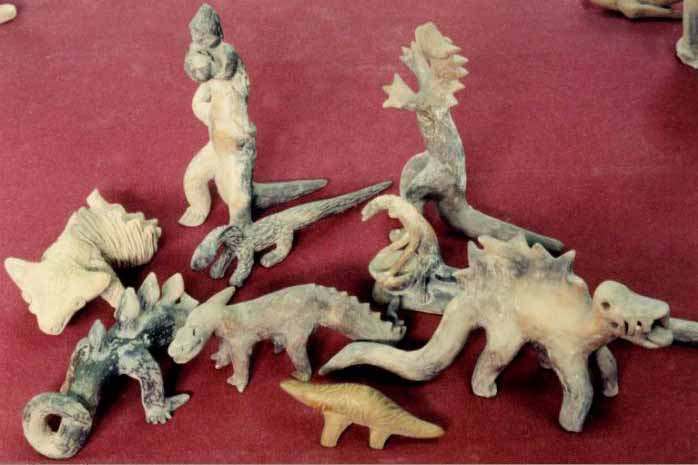 These dinosaur figurines are authentic proof that these monsters still inhabited the jungles of South America during the times of the Inca’s. In this collection of ancient dinosaur figures are all different sizes, some as big as 5 foot long. 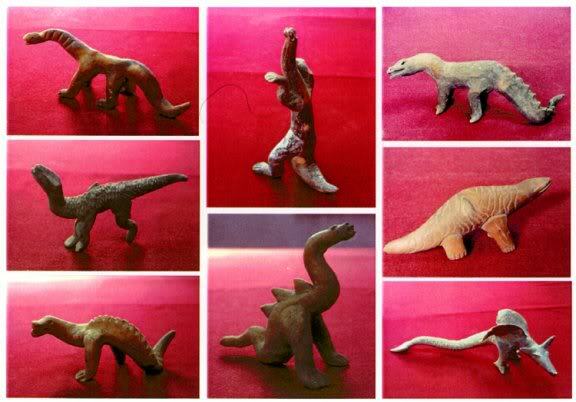 These dinosaur figurines are authentic proof that these monsters still inhabited the jungles of South America during the times of the Inca’s. In this collection of ancient dinosaur figures are all different sizes, some as big as 5 foot long. The Dinosaurs numbering several hundred including duck billed Trachodon, Gorgosaurus, horned Monoclonius, Ornitholestes, Titanosaurus, Triceratops, Stegosaurus Paleococincus, Diplodicus, Podokosaurus, Struthiomimos, Plesiosaur, Leviathan, Maiasaura, Rhamphorynchus, Iguanodon, Brachiosaurus, Pteranodon, Dimetrodon, Ichtyornis, Tyrannosaurus Rex, Rhynococephalia and other unknown or yet unidentified Dinosaur species. 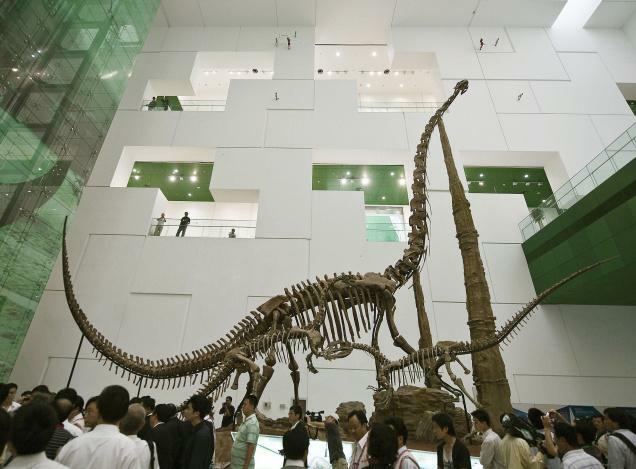 Over 33,500 figurines and artifacts were found including a collection of almost every know and yet to be found dinosaur. Dinosaurs first evolved around 235 million years ago long before man evolved. No human being ever lived with dinosaurs. Their history is recorded in the fossil layers on the earth, which were deposited over millions of years. They were so successful as a group of animals, that they eventually 'ruled' the earth. However, around 65 million years ago something happened to change all of this--the dinosaurs disappeared. 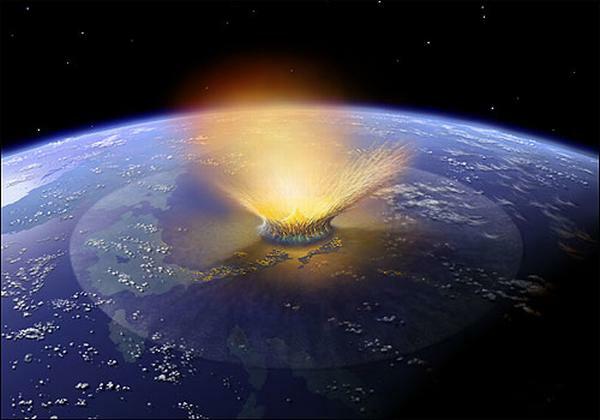 Most evolutionists believe some sort of cataclysmic event--such as an asteroid impact --killed them. But, many evolutionists claim that some dinosaurs evolved into birds, and thus they are not extinct. 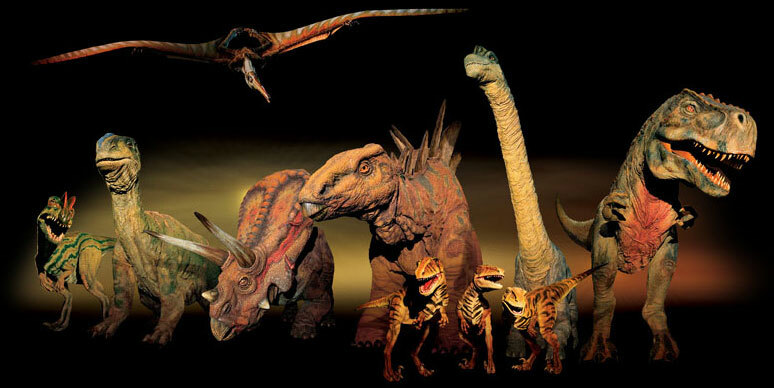 Dinosaurs first existed around 6,000 years ago.5-7 God made the dinosaurs, along with the other land animals, on Day Six of the Creation Week (Gen. 1:20-25, 31).8 Adam and Eve were also made on day six--so dinosaurs lived at the same time as people, not separated by eons of time. Dinosaurs could not have died out before people appeared, because dinosaurs had not previously existed, and death, bloodshed, disease and suffering are a result of Adam's sin (Rom. 5:12,14, 1 Cor. 15:21-22). 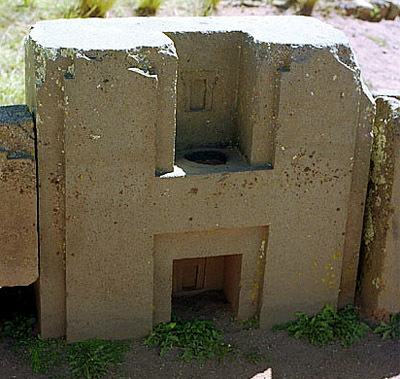 of Puma Punku in Tiahuanaco, in South America. the Kalasasaya Platform, and the Subterranean Temple. and most confusing of all. How were these structures built? Why were these structures built? if they can even be answered at all. plans and building structures without even having a written language. these stone blocks have been fabricated with a very advanced technology. drawing below. All blocks fit together like interlocking building blocks. How is it that ancient people were able to do this 12000 b.c ? 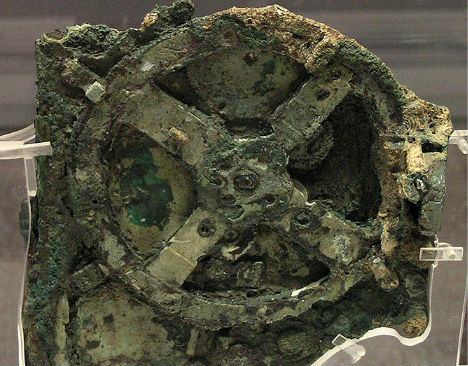 civilization with the wheel, metallurgy, writing, and irrigation systems. Man achieved this unprecedented civilization in Sumer circa 3800 B.C. unexpected and out of nowhere. 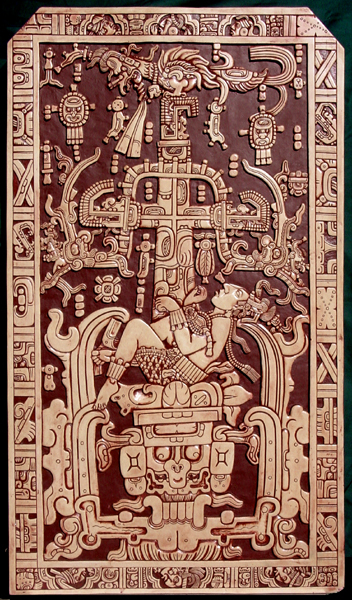 The Mayan king known as “Pakal The Great” ruled from the age of 12 in 615 A.D. til his death at age 80. At the bottom see what appear to be flames shooting out of a rocket. 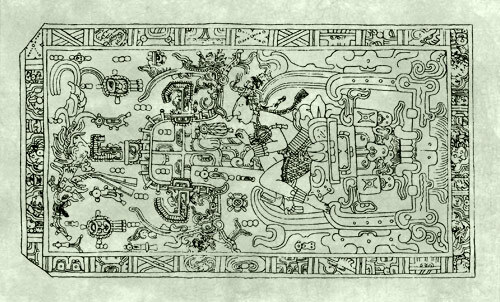 Around the edges are glyphs that depict the Sun, Moon, Venus and various star constellations. 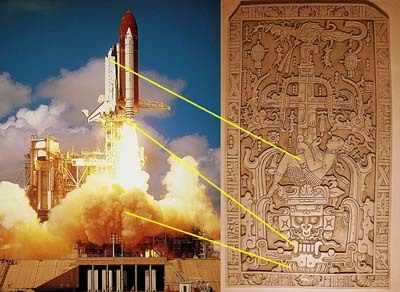 Pakal’s sarcophagus lid strangely appears to depict a man flying a rocket ship. The man seems bent over with his hands on some kind of “gear-shifter” type controls. At the bottom see what appear to be flames shooting out of a rocket. Around the edges are glyphs that depict the Sun, Moon, Venus and various star constellations. 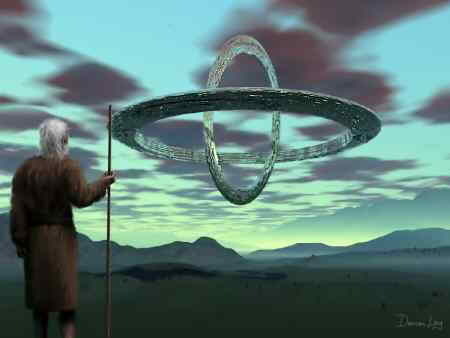 advanced knowledge to the Annunaki, their gods "who from heaven came". op that may have produced an actual TIME MACHINE. in the Quran and Hebrew Bible. 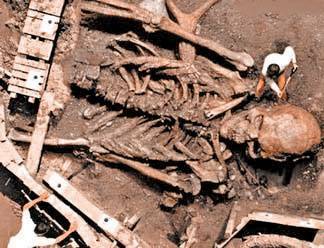 giant human skeleton circled the planet on the world wide web recently. working for a Saudi Arabian oil company while drilling for oil in a remote desert. Sons of god and Men of Renown. related to these ancient beings? 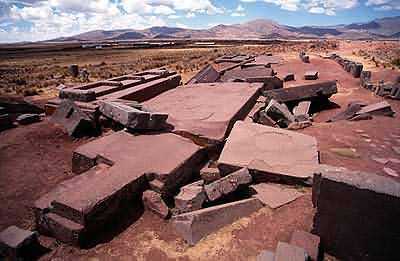 How did the early Humans accomplish cutting and moving these giant stones weighing more than an estimated 1000 tons ? 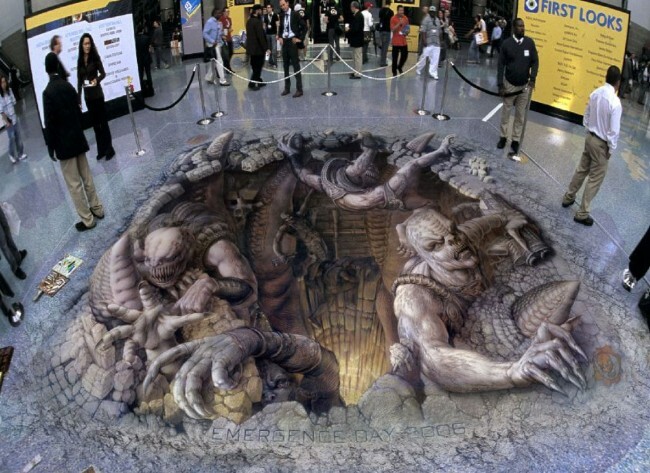 can only be attributed to extra-terrestrial artwork . in size and weighs an estimated 1,000 tons. 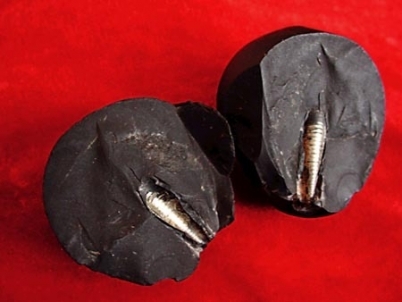 A screw embedded in rock found in the Gansu province Xijiang area of China. Gansu has a population of 26 million. 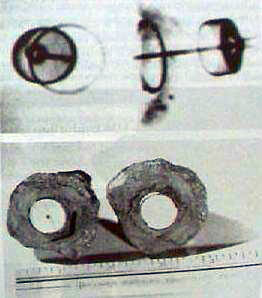 Scientific analysis of the screw by the Chinese led to the conclusion that it should be regarded as the most important, significant find archaeology has ever produced in China? Why? because the conclusion was that it has not been embedded there by contemporary means. It may be as old as the rock itself which is dated at 6 million years old. 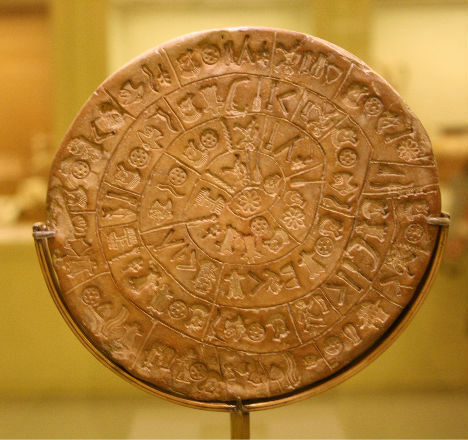 There’s very little that we actually know for sure about the Phaistos Disc. It’s made of clay – check. It dates back to the second millenium B.C.E. – maybe. But its origin, meaning and purpose remain shrouded in mystery. 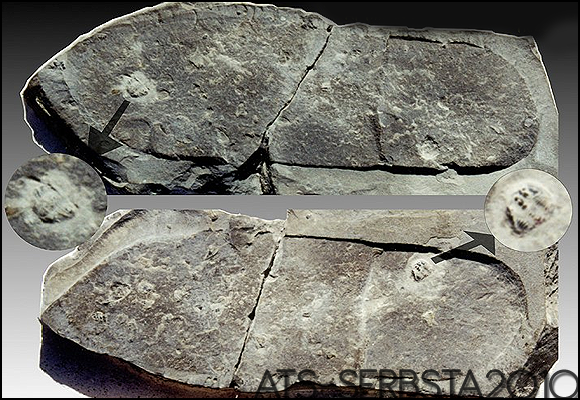 Discovered in Crete, the disc is features i241 impressions of 45 distinct symbols, some of which are easily identifiable as people, tools, plants and animals. But because nothing else like it from the same time period has ever been found, archaeologists haven’t been able to provide a meaningful analysis of its content. Egyptian civilization coalesced around 3150 BC. with there remarkable buildings and Hieroglyphics 'ancient Egyptian writing' the Famous 'Saqqara Bird' are dated at a minimum of 2000 years. 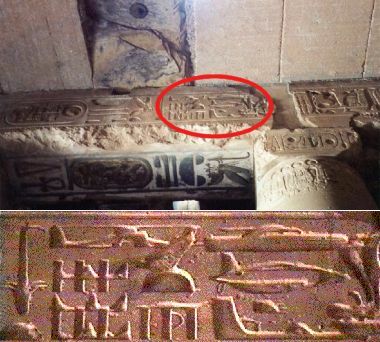 This shows some remarkable resemblance to modern flight, such as a helicopter and what appears to be a plane. 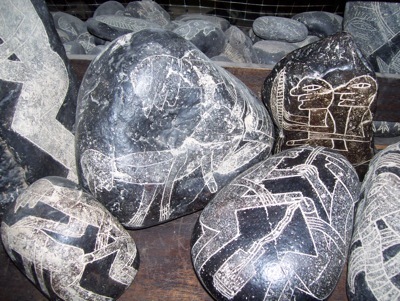 'ancient Egyptian writing' the Famous 'Saqqara Bird' are dated at a minimum of 2000 years. The artifact was later sent to the Cairo Museum, where authorities placed it alongside several other bird figurines. 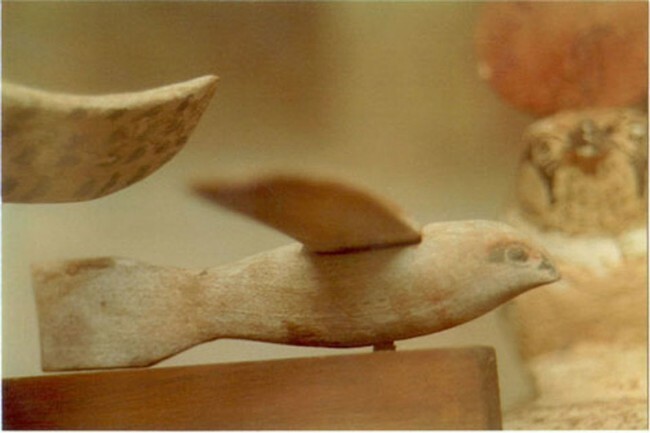 The model sat largely unnoticed, until 1969, when Egyptologist Dr. Kahlil Messiha was examining the bird collection and noticed that there was something very different about the Saqqara bird. It’s interesting because on one hand, clearly, it should look like a bird because it has eyes and has a typical nose of a bird. On the other hand, the wings are clearly not bird wings. To the middle of the rim, you see this wing a bit thicker. In this region, the lift-up is the highest. The whole thing becomes thinner to the, um, end of the wings. And those wings, uh, model down. And this is a very modern aerodynamic design. Then the other point is, birds have no rudders. Because a bird does not need a rudder because of its aerodynamic architecture. And so, there is the idea they are not representing birds, but flying machines, or aircraft. Could the ancient Egyptians have possessed the power of flight? 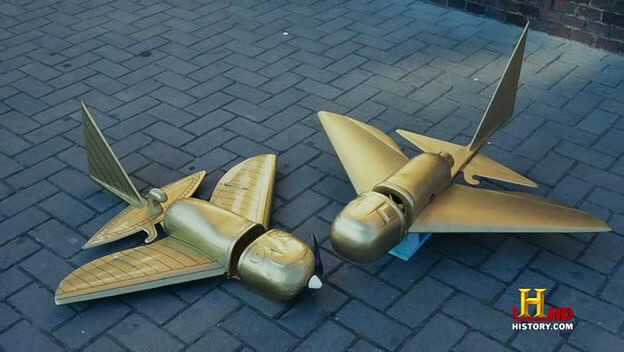 In 2006, aviation and aerodynamics expert Simon Sanderson built a scale model of the Saqqara bird five times larger than the original to test that possibility. cavities can contain a wonderful display of crystal structures and minerals. and are highly sought after by rock collectors. over the years, and continues to this day. of 500,000 years based on the fossils contained in the matrix (note-this would not indicate what date the accretion was formed). 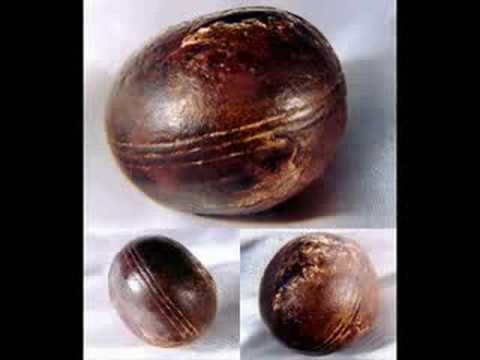 Perhaps the oldest artifacts ever discovered are these metallic spheres found in Klerksdorp, Africa. 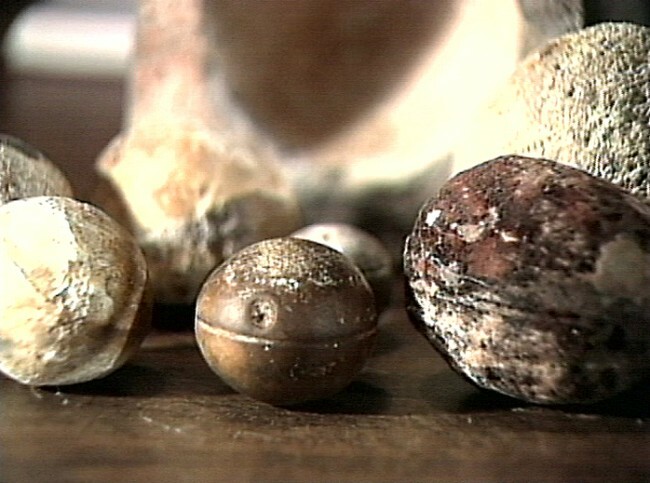 Over 150 of the mysterious balls were found deep in Pre-Cambrian strata dated at an astounding 2.8 billion years old. 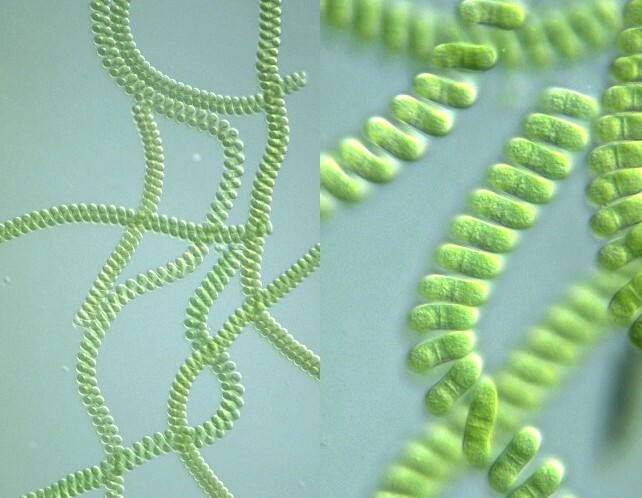 At this time in earth's history, only simple forms of algae were thought to exist. which have been collected by miners from 3-billion-year-old pyrophyllite deposits. 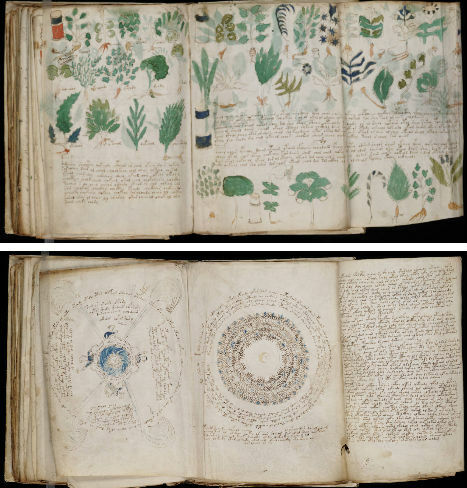 Is the Voynich Manuscript evidence of a forgotten civilization, or merely an elaborate hoax? This handwritten book full of text that the world’s top cryptographers and code breakers have never been able to decipher dates to the 15th century and was discovered in 1912 by book dealer Wilfrid M. Voynich. If it is a hoax, it’s incredibly convincing, given how fluidly the text was written and the fact that statistical analysis has revealed patterns similar to those found in natural languages. of an ancient ship, discovered sometime before Easter 1900 at a depth of 42 m.
Many statues and other artifacts were retrieved on site by Greek sponge divers. triumphal parade being staged by Julius Caesar. 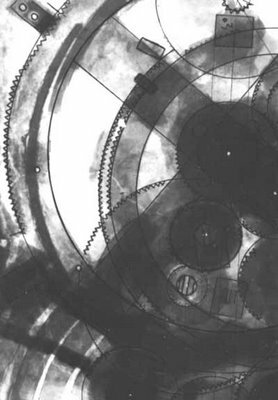 X-rays show, that it is indeed a mechanical device displaying cogs and wheels. How is it that early humans navigated around the world with such Precision that they could map out Antarctica's land mass when it has supposedly been frozen for millions of years ? Surely today's Technology would use ground penetrating Radar to see through all that ice, so how is it possible that the early Humans were able to do such feats with such simple technology ? somewhere besides the South Pole or they had mapped Antarctica when it was a land mass, suggesting that this map was made millions of years ago before ice had formed ! to support so many people, as is legend. instead of being sunk beneath the waves ! for a very very long time. or can prove ~ until recently. So we can see that there is evidence to support that human history may be different to the ones taught by science. There is evidence available that may suggest humans may be much older than what science currently thinks and also possessed technology more advanced than what is previously thought. When it comes to Religion, there is no room. and not from the evolution of monkey to man. 1) Species have great fertility. They make more offspring than can grow to adulthood. 2) Populations remain roughly the same size, with modest fluctuations. 3) Food resources are limited, but are relatively constant most of the time. be a struggle for survival among individuals. 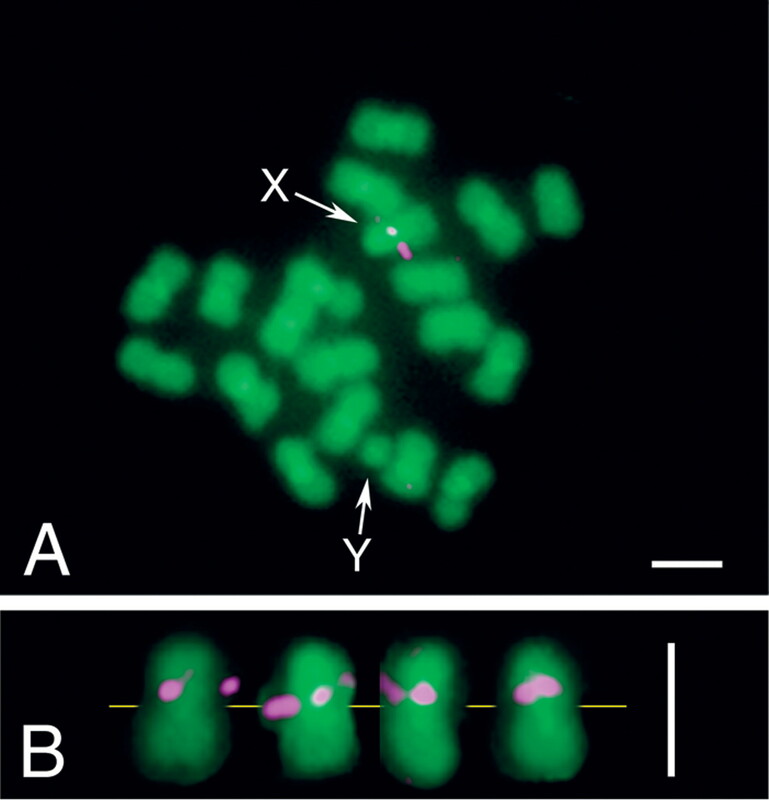 4)In sexually reproducing species, generally no two individuals are identical. 5) Much of this variation is heritable. are inherited by following generations, becoming dominant among the population through time. if carried far enough, makes changes in a population, eventually leading to new species. demonstrate the veracity of these observations. 1. Variation: There is Variation in Every Population. 2. Competition: Organisms Compete for limited resources. 3. Offspring: Organisms produce more Offspring than can survive. 4. Genetics: Organisms pass Genetic traits on to their offspring. are more likely to Survive and Reproduce. ancient times. DNA evidence supports this idea. most beautiful and most wonderful have been, and are being evolved. 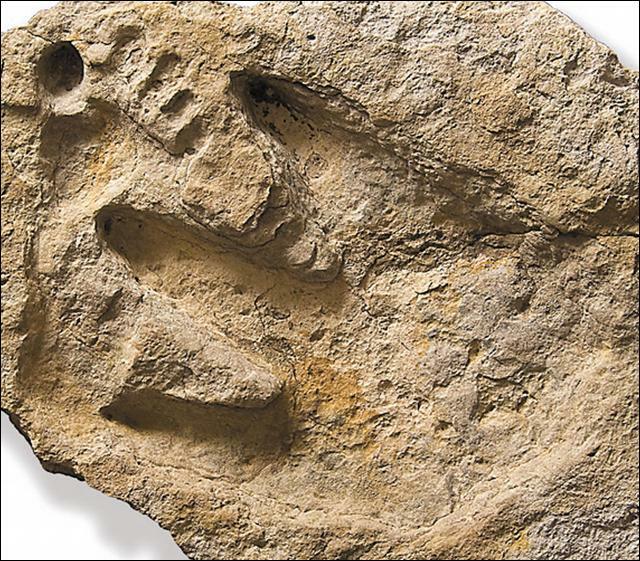 This fossil which corresponds perfectly to a human hand print shows astounding detail. The 1.5 million year-old footprints discovered near Ileret, Kenya were likely made by an ancient relative, Homo ergaster, as it walked along the muddy shores of a river amidst birds and animals. The findings at a Northern Kenya site represent the oldest evidence of modern-human foot anatomy. 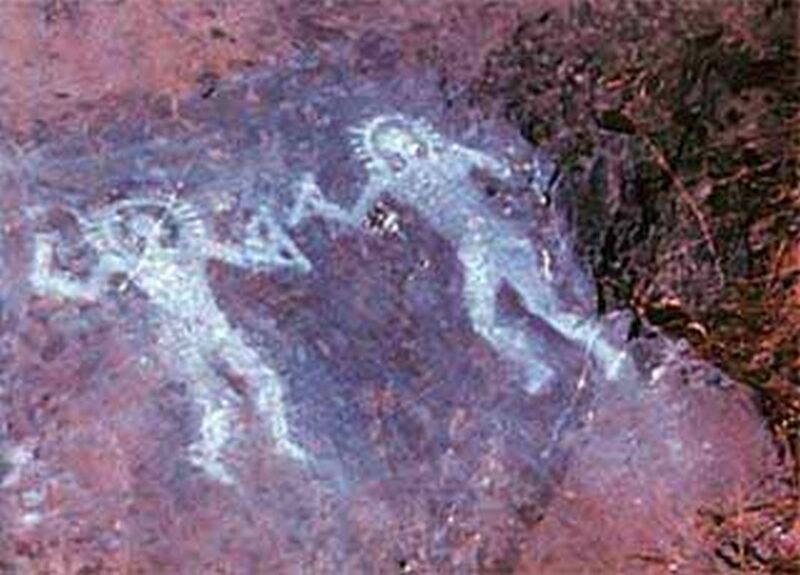 They also help tell an ancestral story of humans who had fully transitioned from tree-dwellers to land walkers. "In a sense, it's like putting flesh on the bones," said John Harris, an anthropologist with the Koobi Fora Field School of Rutgers University. "The prints are so well preserved ." 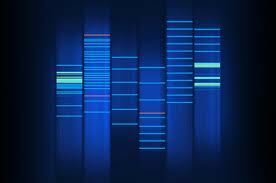 In 1990, the Human Genome Project was formally established. information was have major public health ramifications. 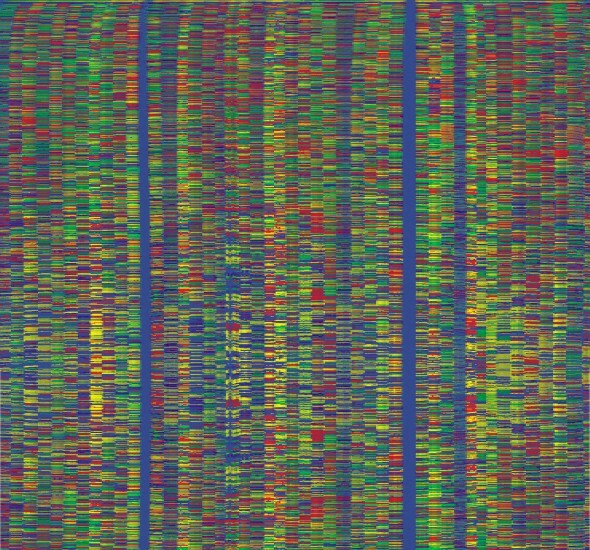 The Human Genome Project (HGP) is an international scientific research project with a primary goal of determining the sequence of chemical base pairs which make up DNA and to identify and map the approximately 20,000–25,000 genes of the human genome from both a physical and functional standpoint. The project began in 1989 and was initially headed by Ari Patrinos, head of the Office of Biological and Environmental Research in the U.S. Department of Energy's Office of Science. Francis Collins directed the National Institutes of Health National Human Genome Research Institute efforts. A working draft of the genome was announced in 2000 and a complete one in 2003, with further, more detailed analysis still being published. A parallel project was conducted outside of government by the Celera Corporation, which was formally launched in 1998. Most of the government-sponsored sequencing was performed in universities and research centers from the United States, the United Kingdom, Japan, France, Germany, and China. The mapping of human genes is an important step in the development of medicines and other aspects of health care. 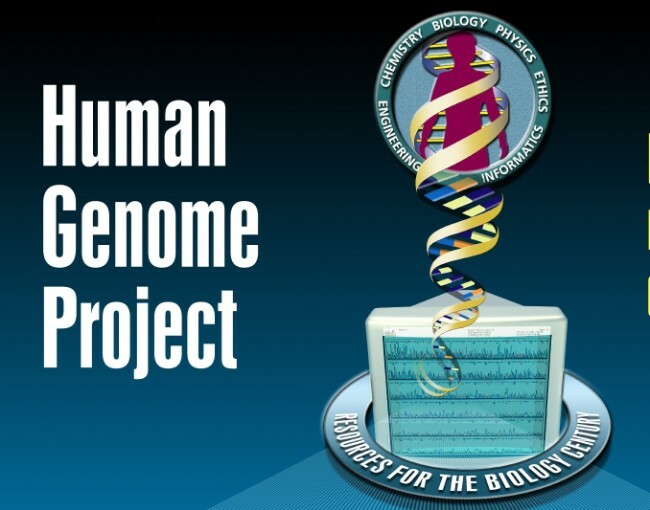 While the objective of the Human Genome Project is to understand the genetic makeup of the human species, the project has also focused on several other nonhuman organisms such as E. coli, the fruit fly, and the laboratory mouse. It remains one of the largest single investigative projects in modern science. The Human Genome Project originally aimed to map the nucleotides contained in a human haploid reference genome (more than three billion). Several groups have announced efforts to extend this to diploid human genomes including the International HapMap Project, Applied Biosystems, Perlegen, Illumina, JCVI, Personal Genome Project, and Roche-454. The "genome" of any given individual (except for identical twins and cloned organisms) is unique; mapping "the human genome" involves sequencing multiple variations of each gene. The project did not study the entire DNA found in human cells; some heterochromatic areas (about 8% of the total genome) remain un-sequenced. 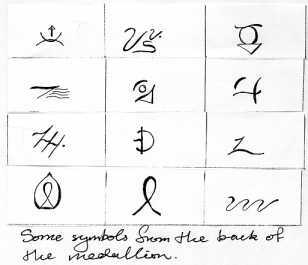 code of extraterrestrial life forms. beings exist scattered in the Galaxy? constitute larger part of the total genome, says Prof. Sam Chang, the group leader. "enjoy the ride" with hard working active genes, passed from generation to generation. Professor Chang had wondered if the apparently "junk Human DNA"
was created by some kind of "extraterrestrial programmer". creating new life and planting it on various planets. Earth is just one of them. time ongoing business of seedling life in the universe." presented humankind with illogical growth of mass of cells we know as cancer." enough to explain evolution; there must be something more in 'the game'." extraterrestrial cousin and that evolution is not what we think it is." work out the complete sequence. It's like a very complicated - and very big - jigsaw puzzle. 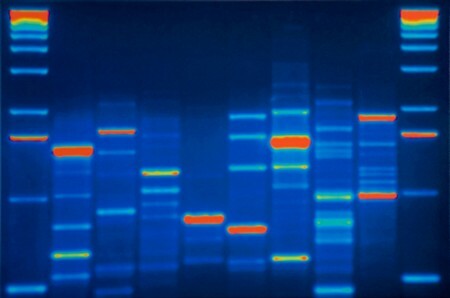 An image showing the trace produced by DNA sequencing. The identity of each base in the sequence is indicated by a peak in a different colour: red for thymine, green for adenine, and so on. Can you work out the rest of the sequence? On its own, of course, the order of the bases doesn't tell us much. is some evidence that it may play a part in controlling gene activity. 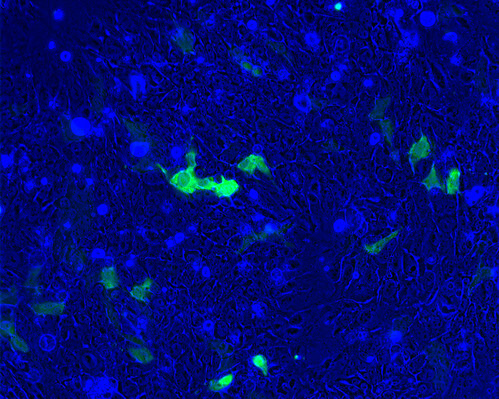 in more detail may help us to develop new treatments for a range of diseases. engineering to create the human race as we know it: Homo sapiens. from an ascribed "race of the gods". (and also the double helix structure of DNA) by using two intertwined snakes. How far have they taken this ? DNA that cause the cells to produce a protein that fluoresces. human as we see today ? "We are much older than the ape's we are told we evolved from"
create a more complex higher life form – culminating with Homo sapiens. predecessors on the genomic evolutionary tree. Science has always found that there is a gap in our evolution theory. They have covered it with the possibility that there is indeed a missing link ? Rather than being our “grandmother” Ida is more like a “grand aunt”. That’s because she’s supposed to come from a time when the primate family tree was splitting into two groups. One with humans, apes and monkeys, and the other one with lemurs and bush babies. Tests on her teeth revealed that although she appears more similar to a lemur, she is actually closer to the line that resulted in apes, monkeys and humans. Although there’s no solid evidence to say that this is part of the evolutionary chain and not a previously undiscovered entity, could Ida be the answer we’ve all been waiting for? "Other Influence of the modern Human race"
our planet with the intention of creating alien-human hybrids, they would most likely suggest you double up your medication. 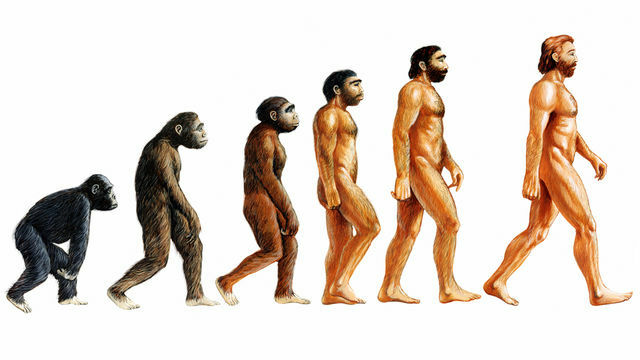 Givin the chance that human evolution continued on its current path, would it be plausible that humans would change their physical characteristics to adapt to there new enviroment. to the family of Hominids, under the Genus and Species Nativus coniunctus. 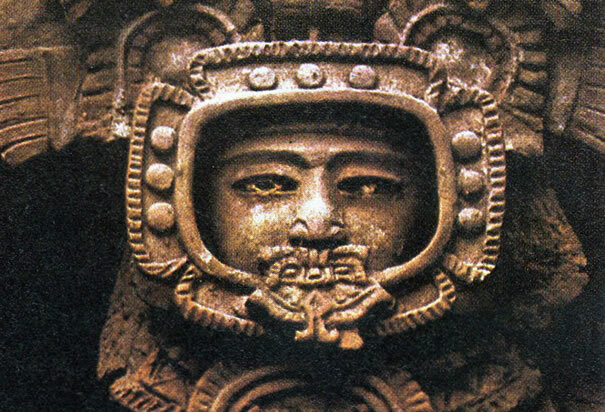 Many cultures speak of strange beings visiting from the stars. 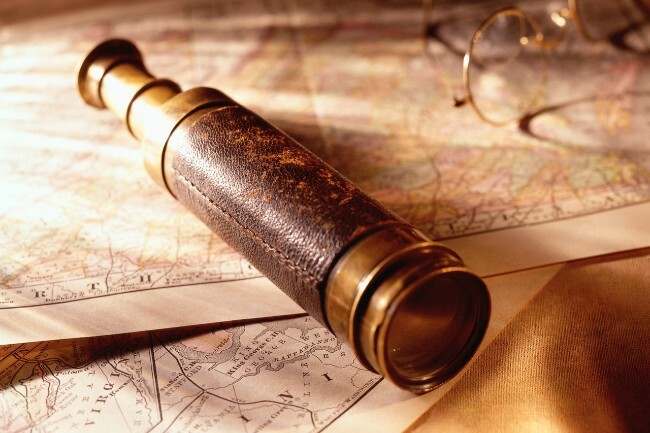 Could these so-called visitors, givin the early humans the technology that can be seen all around the ancient world and explain some of the most puzzling questions about the ancient civilisations and there structures that baffle scientist today. 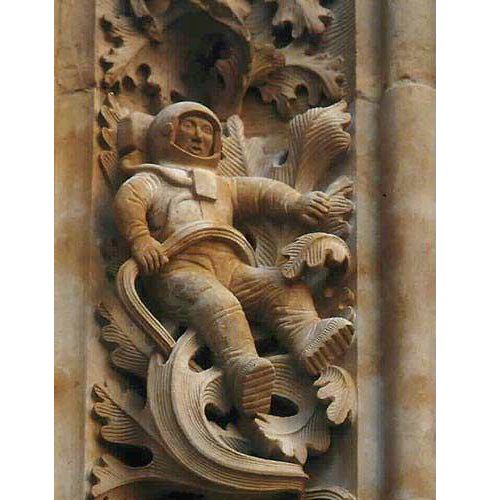 Inside the splendid Ieronimus Cathedral, built by Episcope de Salamanca in 1102 A.D., among the fascinating carvings of mythical animals and saints, we find – what appears to resemble a NASA Astronaut space suit with remarkable detail. 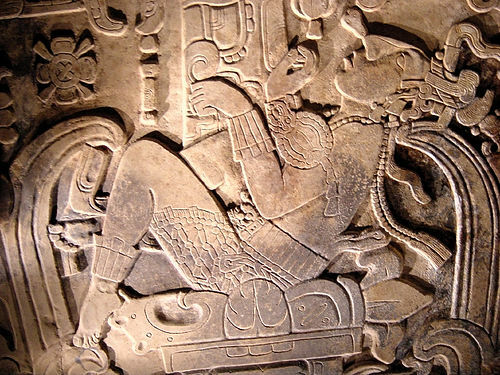 Notice the detail in the boots the being is depicted wearing. Surely this is an un-common footwear for that time period of 1100 AD. The being is also depicted wearing a full body suit that appears to have a breathing apparatus running from the front of the suit that is connected by a hose that continues to back of the suit resembling something like a back pack device. All before man even attempted the concept of space flight. In the great valley of Bamiyan, situated 200 km NW of Kabul at an altitude of 2500 metres, two big standing Buddhas statues and a small of a seated Buddha were carved out of the sedimentary rock of the region. They were begun in the second century A.D. under the patronage of Emperor Kanishka and probably finished around the fourth and fifth centuries A.D. The two massive Buddha images, which stood about a quarter of a mile apart, were carved out of a high stretch of cliff facing the widest part of the valley. These colossal images were between the largest Buddhist sculptures in the world. Basically they were cut from the sandstone cliffs and covered with mud and straw mixture to model the expression of the face, the hands and the folds of the robes. They were plastered and finally they were painted. The lower parts of their arms were constructed using mud supported on wooden armatures while the upper parts of their faces were made from great wooden masks. The two giants were painted in gold and other colours, and they were decked in dazzling ornaments. The larger statue (upper image) was 55 metres (175 feets) high and it was carved at the western end of the cliff-face. It was painted in red and it is thought to represent Vairocana, the "Light Shining throughout the Universe Buddha". The smaller statue (lower image) was ca. 38 metres (115 feet) high and it was situated at the eastern end of the cliff. It was painted in blue and probably represents Buddha Sakyamuni, although the local Hazara people believe it depicts a woman. Both statues were considered to be one of the most remarkable representation of the Buddha anywhere in the world. You can see a patern covering the statue almost as if he was wearing a suit of somekind ? not glass. It is made... from some kind of hardened crystal." reticent... about giving too many details. the world... before he hands it over. more likely... a celestial map... depicting some kind of galactic alignment... of stars. see... that it has been fashioned... in the shape of a pyramid." This carved figure displays characteristics similar to that of someone in a rocket device. The Figure is in a seated position wearing what resembles a space suit, the head is missing making it harder to identify exactly who or what the being was. 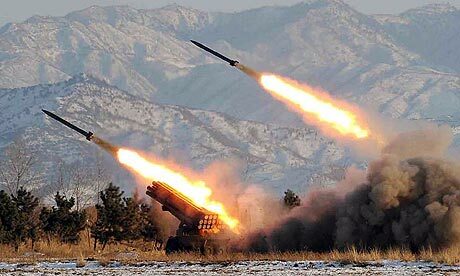 Notice the rocket like jets at the back, there is allot of structure here that most people would interpret as our modern day rockets. before you make your judgment. All through history, in all languages and all throughout Religions, there have been tales of heavenly beings flying. Birds were the only things flying around in the days of the bible. 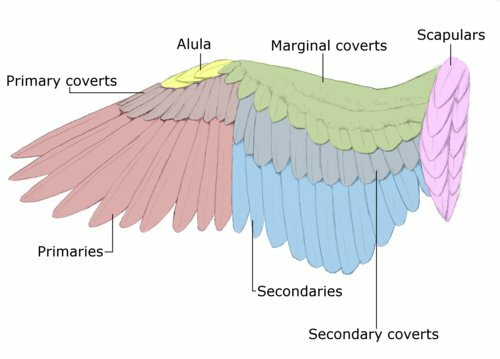 A wing is an appendage used for flight by an animal or an apparatus used to create lift in aeronautics. Imagine yourself at the time of the bible and you see a person flying ? Imagine yourself at the time of the bible and you see a person flying ? How would could you interpret that at that time when you have no concept of a plane or a helicopter. Naturally if they see a person flying, then the only interpretation is that of a being with wings. Thousands of years ago, the only thing that was flying around was birds. 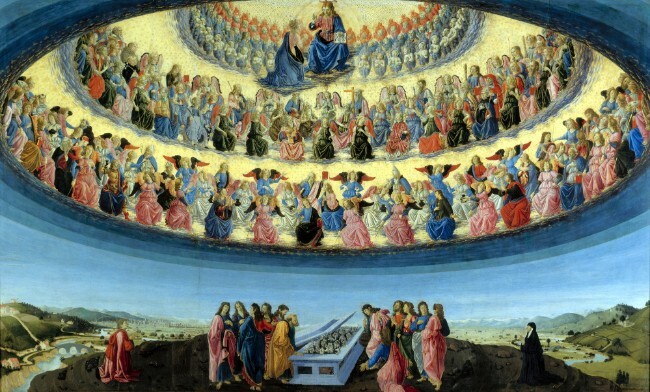 The wheels are described as a “wheel within a wheel.” To identify these as flying saucers, the cherubim—with these under girding wheels—represented a heavenly chariot, upon which was the throne of Jehovah God (cf. 1 Chronicles 28:18, where the cherubim are described as the Lord’s chariot). “the God of heaven and the God of the earth” (Genesis 24:3). The wheel-within-a-wheel motif conveys the image of two wheels blended together at right angles, thus enabling the chariot to move in all four directions without turning. The Almighty is present throughout the entire universe! “Do not I fill heaven and earth? saith Jehovah” (Jeremiah 23:24). Is this just an interpretation of something a person is seeing thousands of years ago and could not understand. Science constructs what Ezekiel witnessed. Ezekiel may have witnessed something very remarkable and was able to describe it in great detail. 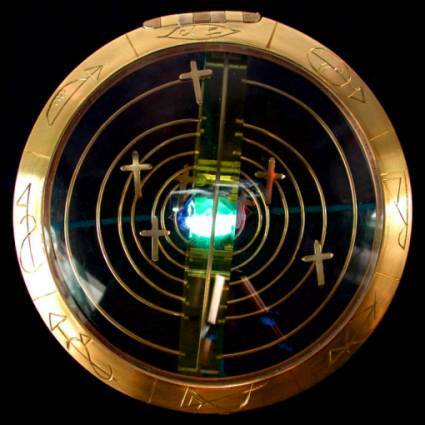 Even though he may have explained it laymens terms, scientist of today are able to take very precise schematics on how to recreate exactly what this wheel was that Ezekiel witnessed. It is important to note further that these multi-directional wheels are “full of eyes round about” (v. 18),. German structural engineer named Hans Herbert Bayer decided to make a blueprint for the temple in Ezekiel based on the measurements in the book. 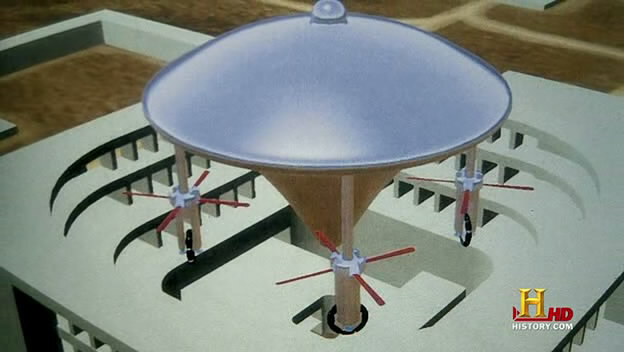 Inside the temple complex there's an open top building which Tsoukalos contends was meant to hold the alien's ship. Not all paintings show beings with wings. 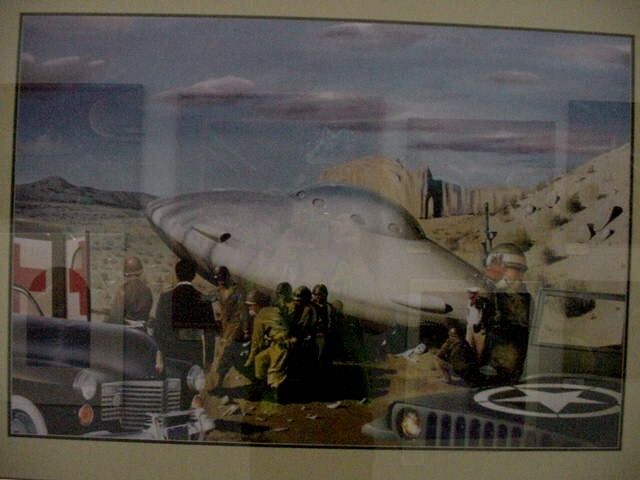 Mysteriously there are depictions of objects flying in what modern time interpretations would be called a ufo. Could they be clouds, or something much much more. His big proof of this is the fact that Blumrich's ship model fits into the area of contention perfectly. 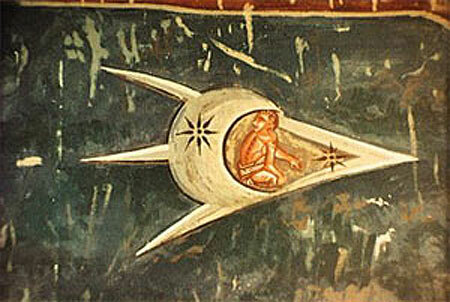 Cherubims are depicted as a circular flying object that is able to carry beings to the heavens. 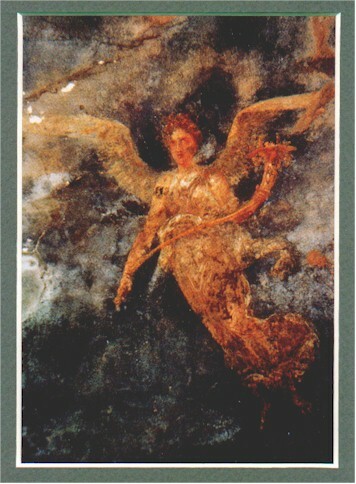 Seraphim refers to angels flying. imagine at the time of jesus, walking out to the field, looking up and witnessing this sight. They seen them flying. They called them chariots. Chariots are vehicles that carry man by horses. What are they realy trying to tell us. Surely they couldnt fly. It would physically impossible ? 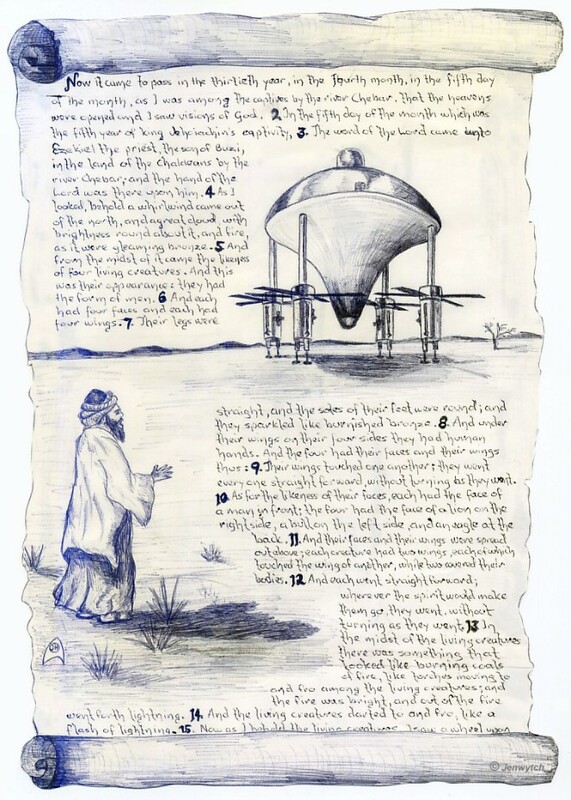 Maybe they are witnessing what to them, resembles chariots, therefore portraying these ufos as flying chariots, because that is the only way they could interpret it at the time. 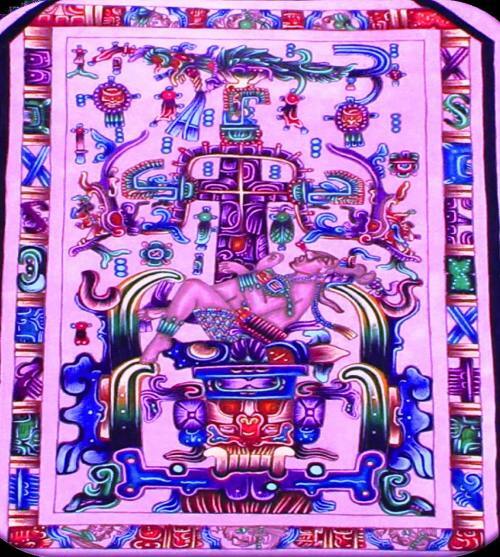 Two main beings are directly associated with the flying vehicles, the Elohiym "ilojiim", the gods. Others include Archangels, Elders, Ministers, Saints, Watchers, and Men. There is another group which, though assumed to be living entities, are described in a manner that indicates they may be devices or machines. This group includes Cherubim, Seraphim, Living Creatures, and Beasts. Also presented are the beings that are associated with the modern UFO phenomenon by misplaced religious zeal; Satan and devils. A fleet of flying vehicles, described as the army, or Hosts, of Yhovah, appears several times and the importance of this fleet to the Biblical narrative is seriously underrated. Close encounters, from face to face conversations and beam-ups to meetings, are well documented in Biblical text and are a major part of many of the Bible's, more phenomenal, events. The nature of Yhovah in his human form as Jesus is a grossly neglected aspect of the Bible. Another questionable facet of accepted Biblical doctrine is the Holy Spirit as an individual member of a supreme triad. Is the Holy Spirit or Holy Ghost a being or a spiritual force? And, do angels have wings, halos, and harps? 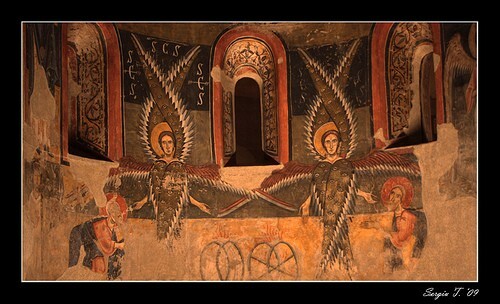 "If they do, the Bible doesn't mention this, nor does it mention a devil with horns, a pitchfork or a pointed tail"
"Where in this painting is the Angel depicted with wings"
was described in the Bible. objects as vehicles in the Bible"
sky dwellings, rolls, and sanctuaries. Whether, or not, one believes these objects are actually flying vehicles that the God of the Bible lives in, appears with, travels in, and is considered the seat of his power is a matter of opinion. The fact that they do not appear without him or his ambassadors, and that, in most major appearances, he and other beings are clearly described as directly associated with these flying objects, is undeniable. 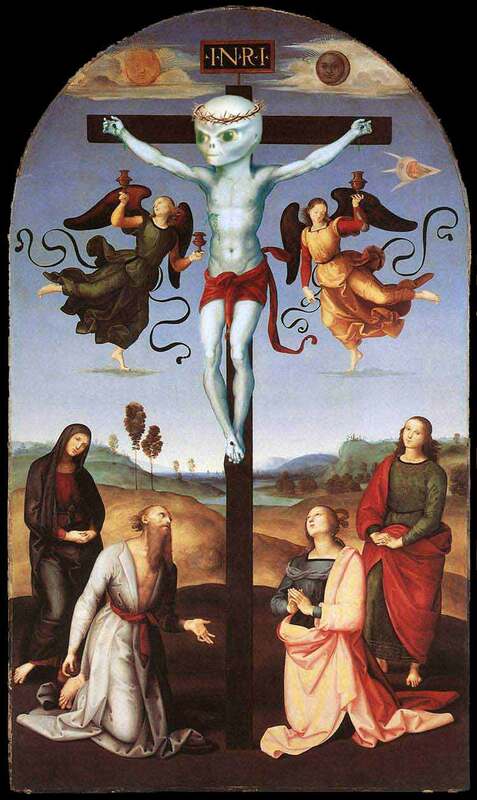 A fresco entitled "The Crucifixion" and was painted in 1350.
seen near Jesus. The painting is in the Academy of Florence. 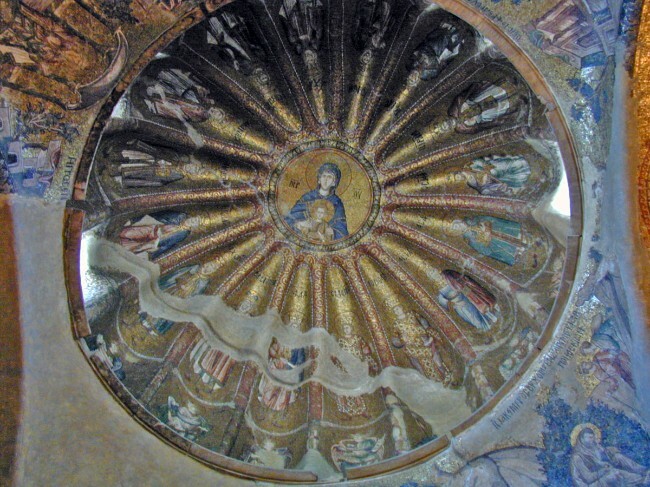 The Church of Holy Savior in Chora (Turkish Kariye Müzesi, Kariye Camii, or Kariye Kilisesi — the Chora Museum, Mosque or Church) is considered to be one of the most beautiful examples of a Byzantine church. The church is situated in Istanbul, in the Edirnekapı neighborhood, which lies in the western part of the municipality (belediye) of Fatih. 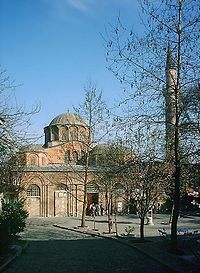 In the 16th century, the church was converted into a mosque by the Ottoman rulers, and it became a secularised museum in 1948. The interior of the building is covered with fine mosaics and frescoes. Mosaics in the first three bays of the inner narthex give an account of the Life of the Virgin, and her parents. Or, take it as you would look above and see beings flying in a disk. The bible has tales of these beings flying in crafts, there can be no doubt. But what other technology did the bible speak of ? "Behold, the ark of the covenant of the Lord of all the earth"; so the ark is called in the Holy Scriptures (Joshua 3:11). This most holy object was made of acacia wood, completely covered with fine gold, and decorated with a golden wreath. 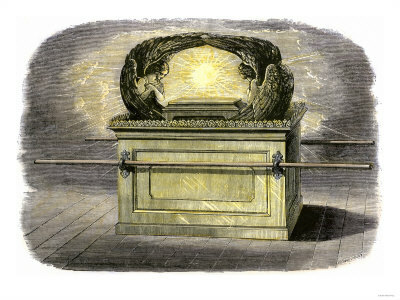 The Ark of the Covenant was an ark or chest of shittim (acacia) wood two and one-half cubits long, and one and one-half cubits high (5 feet by 3 by 3) overlaid with gold, and embellished with a crown of gold extending around the chest upon the top edge. Four rings of pure gold were set in the four corners, two on one side and two on the other, through which were passed the wooden staves overlaid with gold used in carrying the sacred chest. Exodus 25:10; Exodus 37:1-10. 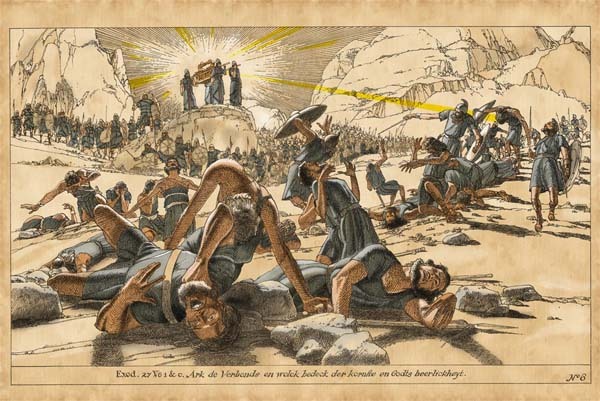 The Ark of the Covenant also contained some of the manna, or divine food, that God had supposedly provided for the Israelites on their 40-year journey through the wilderness. 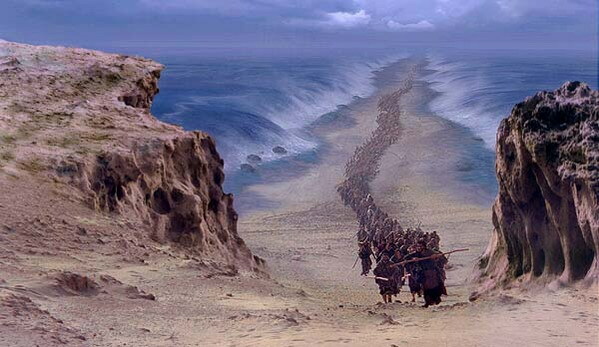 Somewhere on the way, it says, in the stretch of no man’s land known as the Sinai, God gave Moses the Ten Commandments, which he proceeded to write down on two stone tablets and place in a receptacle known as the Ark of the Covenant. But what of this food manna the bible refers to. How did the Israelites stay alive for 40 years, just surviving on this so-called manna. This food source God provided could not have just been bread, for surely the Israelites would have died. So what was this manna food realy ! 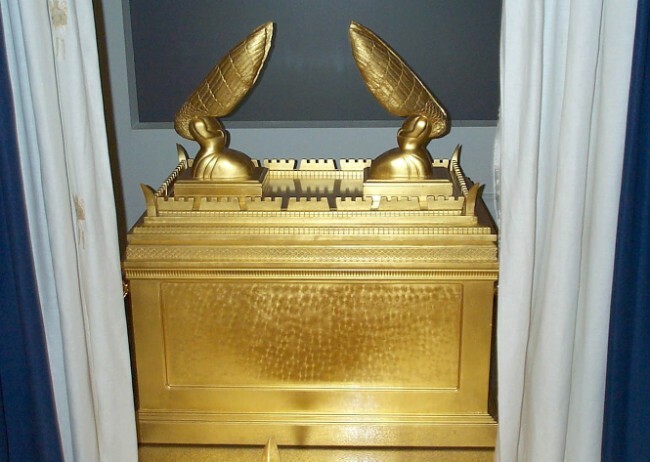 The Ark of the Covenant is described in the Bible as a sacred container, wherein rested the Tablets of stone containing the Ten Commandments as well as other sacred Israelite pieces. The Old Testament speaks clearly of the Divine power of the Ark. When captured by the Philistines, they quickly got rid of it when they came down with a terrifying plague which caused cancerous tumours. At Jericho the Ark was marched around the walls, and it is said to have been its power that caused the walls to fall down. Others who inadvertently touched it were instantly killed, and only a chosen few could manage to carry it on its poles, well over a hundred yards ahead of the people. 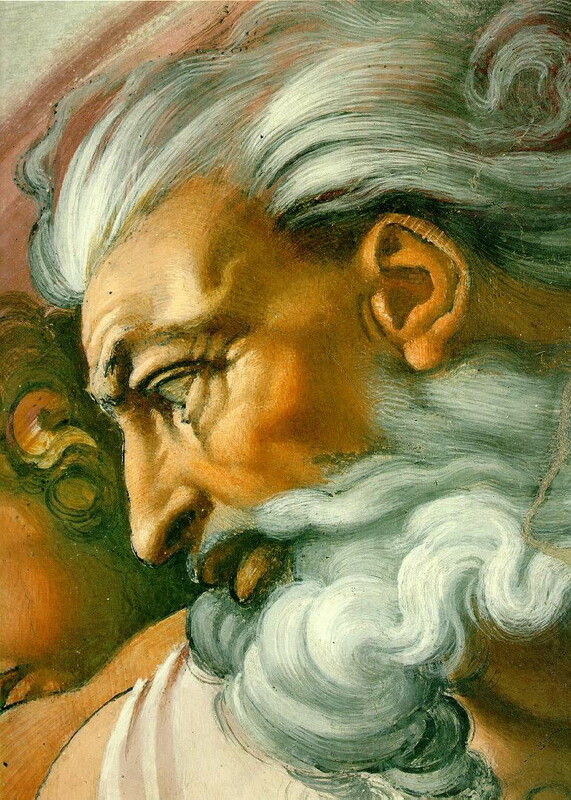 Moses himself is said to have had a face that shined, and usually wore a cowl, after building the Ark. Moses himself is said to have had a face that shined, and usually wore a cowl, after building the Ark. This ark, remarkably resembles the same sypmtoms that you would expect from being in contact with radiation. 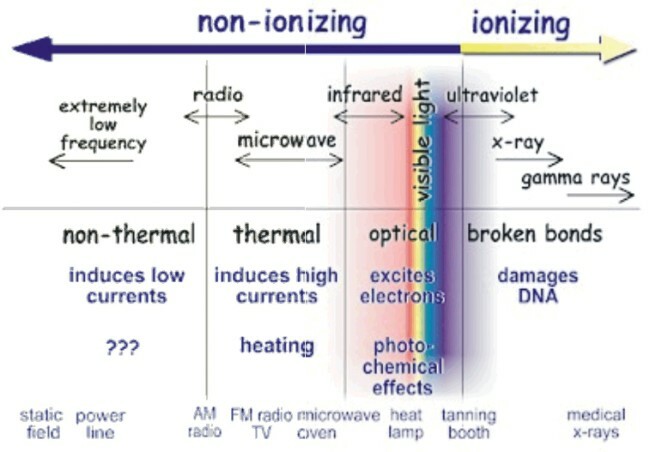 Radiation sickness results when humans (or other animals) are exposed to very large doses of ionizing radiation. Radiation exposure can occur as a single large exposure (acute), or a series of small exposures spread over time (chronic). Radiation sickness is generally associated with acute exposure and has a characteristic set of symptoms that appear in an orderly fashion. Chronic exposure is usually associated with delayed medical problems such as cancer and premature aging, which may happen over a long period of time. As the ark of God was entering Ekron, the people of Ekron cried out, "They have brought the ark of the god of Israel around to us to kill us and our people." 11 So they called together all the rulers of the Philistines and said, "Send the ark of the god of Israel away; let it go back to its own place, or it [c] will kill us and our people." 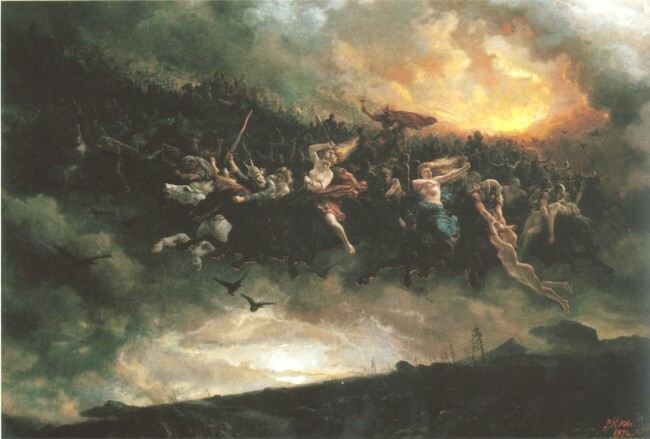 For death had filled the city with panic; God's hand was very heavy upon it. 12 Those who did not die were afflicted with tumors, and the outcry of the city went up to heaven. 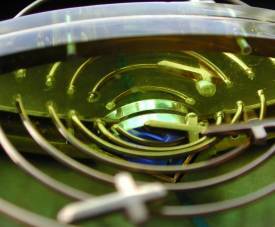 There is overwhelming Biblical evidence that the Ark of the Covenant was structurally designed to act as both an alien transmitter-capacitor/ weapon. The Ark, lethal if touched, was used to communicate with aliens posing as God and it aided Israelites when it was carried into battles. "And they shall make an Ark of shittim wood, two cubits and a half shall be the length thereof, and a cubit and a half the breadth thereof, and a cubit and a half the height thereof. 'And thou shalt overlay it with pure gold, within and without shalt thou overlay it, and shalt make upon it a crown of gold around and all about." One of the Gold plates was positively charged and one was negatively charged and together they formed the condenser. If one of the cherubim's positioned above the Mercy Seat acted as a magnet, then you have the rudimentary requirements of a two way communication set. The 'Lord' even detailed what clothing should be worn when consulting the Ark, likely so that no interference would be encountered when talking through the device, and also to limit the risk of electrocution. "And ere the lamp of God went out in the temple of the Lord, where the Ark of God was, and Samuel was laid to sleep. 'That the Lord called Samuel, and he answered here am I. 'And he ran unto Eli, and said here am I, for thou calledst me. And he said. I called not, lie down again. And he went and lay down". This repeated itself on two more occasions and eventually Eli realized that the Lord was speaking to Samuel via the Ark, which he then told to Samuel, and on the fourth occasion Samuel was able to converse with the Lord. 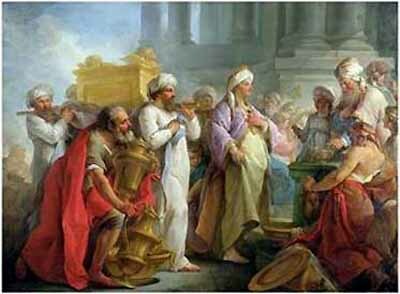 The only persons in the house at the time were Eli and Samuel, and it is quite blatant that the Ark spoke to Samuel. This further fuels the argument that the Ark was a communication device set, as well as a religious receptacle and a weapon of destruction. The Ark had these uses; at the times of communication with 'God' and at the times of great battles, the Ark was invariably present. It seems Africa may be harboring the world’s first, most highly sought, weapon of mass destruction. 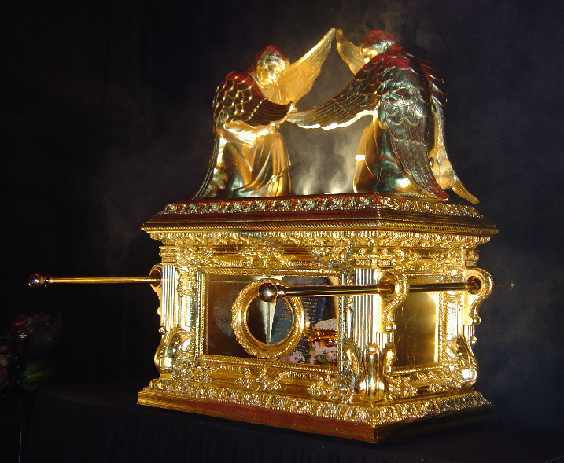 The Ark of the Covenant, commissioned by God, covered in purest gold, carried before the armies of the Lord, able to devour armies and halt the flow of rivers, has been found. Twice. That most fabled of artifacts, rediscovered in public culture thanks to the movie theatrics of Steven Spielberg and Raiders of the Lost Ark, which has remained lost to humanity for at least 1,500 years, has resurfaced in Africa. The only problem is where, exactly. Is it in Aksum, Ethiopia, brought there by Menelik, the son of King Solomon and Queen Sheba? Is it in Zimbabwe, kept hidden by the Lemba tribe, true descendants of Moses himself? This box housed a device that produced manna food to keep the Israelites alive for 40 years. NASA considers it an excellent compact space food for astronauts. The WHO has called it one of the greatest super foods on earth. And New Agers all over the world are rediscovering the wonders of spirulina, manna which the Hebrews ate in the desert could have belonged to the spirulina family. The single-celled bluish-green water alga is believed to be the first form of plant life on earth and formed a part of man's early diet. But its rising popularity in the last couple of decades can be traced to a French anthropologist who found, earlier this century, that a plankton from Lake Chad in North Africa was behind the remarkably good health of the Kanembi tribe living on the lakeside. He took it back home to study its composition. What was 'dihe' to the Kanembis came to be known as spirulina, the word derived from the algae's spirally twisted filament-like structure. From origin to content: 1 kg of spirulina, it is claimed, is the equivalent of 1,000 kg of assorted vegetables; 10 gm of spirulina contain 6.6 gm of protein (milk has 0.32 gm). In addition, it has no bad cholesterol, has 18 of the 22 amino acids the body needs, and is the richest source of beta-carotene, an antioxidant which combats free radicals. So where does that place spirulina? A dietician's delight, a perfect supplement to good living and health? A5 1mL; Solution B6 1mL; in 1L distilled water. 17.94; TiOSOq.H2S04,8H20, 61.1; and Co(N03)2.6H20, 43.98.
used as P-source, in different concentrations.
. For salinity studies, NaCl was used in different concentrations. All experiments were incubated in continuous light. used for evaluating the growth parameters of the alga. surface of culture bottles was 80 uE m-2 s-l.
the mixed gas delivered to the culture was maintained at 300 ml/min. Since man has looked up to the heavens, man has seen things flying around. They have been interpreted in many ways. But what are they realy ? 1. Ufo's are man made. 2. Ufo's are fake's and hoaxes. 3. 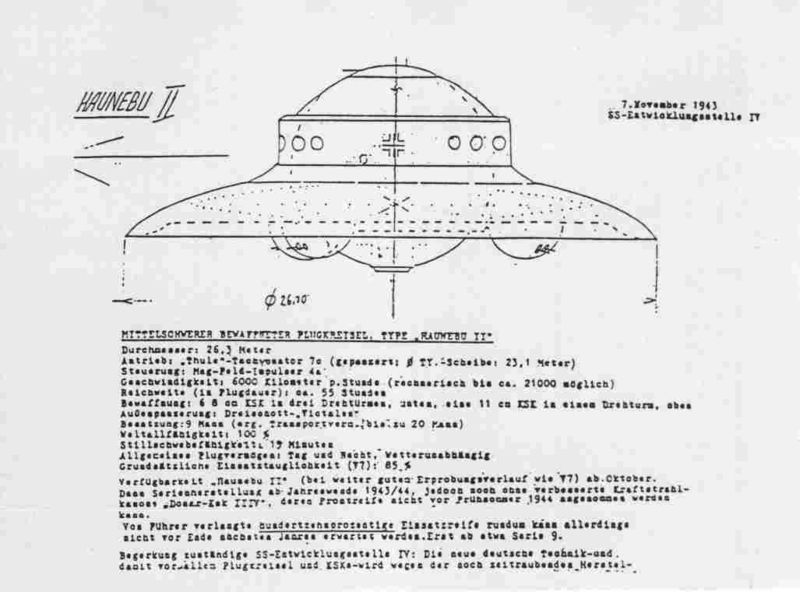 Ufo's are military top secret aircrafts. 4. Ufo's are an unknown, yet to be classified ariel phenomena. 5. Ufo's are Extra-terrestrial in origin and operated by alien intelligence. 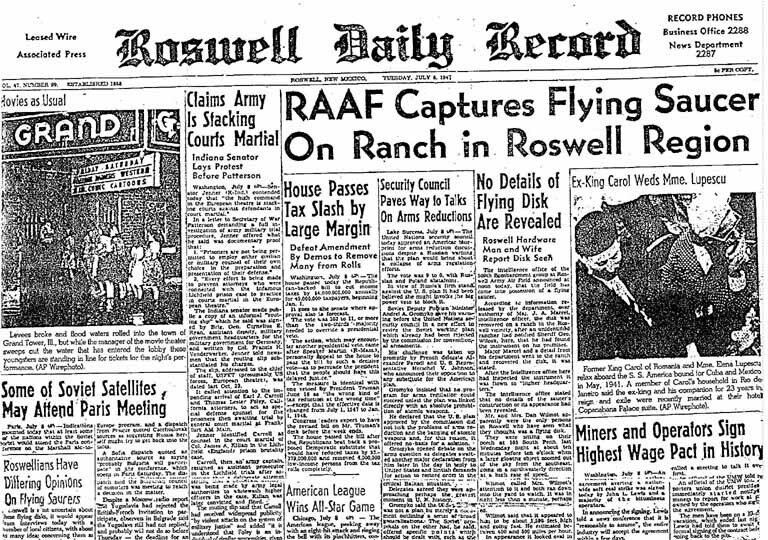 of Roswell 1947, when the term U.F.O was coined. remained a controversy till this day. 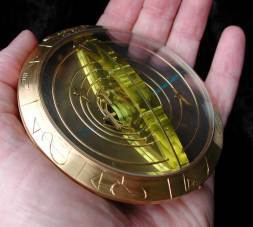 "Let's take a look at the Fact's"
(RAAF) announced it had recovered a "flying disk". 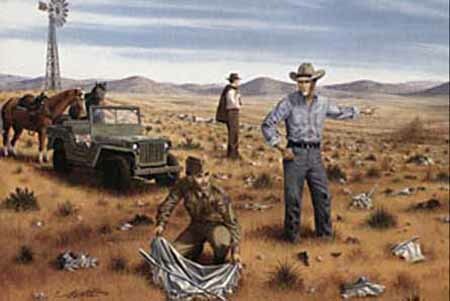 was revived in the early 1980s, the "Roswell Incident"
became a focus of conspiracy theorists, "abductee's,"
on His ranch in Roswell New Mexico. caused the largest Cover Up Ever. Mac Brazel discovers some strange crash debris on the Foster Ranch. In the town of Corona Mac Brazel hears about a $3000 reward for the debris of a crashed flying saucer. Mac Brazel showed pieces of the wreckage to Chaves County Sheriff George Wilcox. 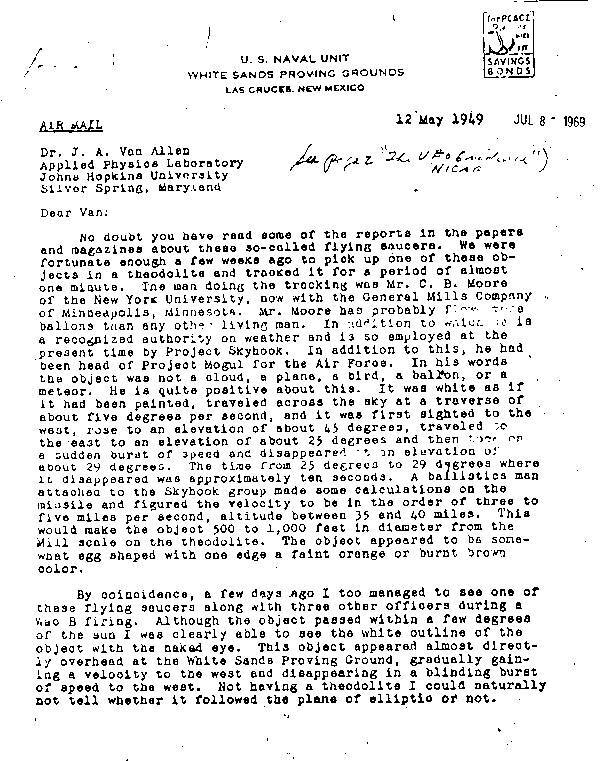 Wilcox called Roswell Army Air Field (AAF) and talked to Major Jesse Marcel, the intelligence officer. with Brazel to collect as much of the wreckage as they could. to his car to go to the debris field. 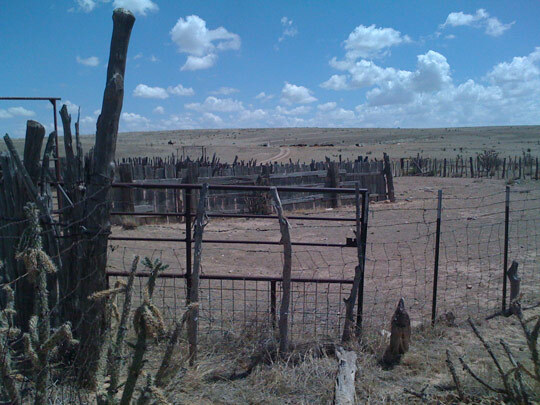 stay at Brazel's ranch and examine the large piece of debris stored in the shed. "I" beams in amongst the debris. where he gives the release to Frank Joyce. and the Chicago Tribune were morning papers and only carried the cover-up story the next morning. possession of a flying saucer. of Maj. J. 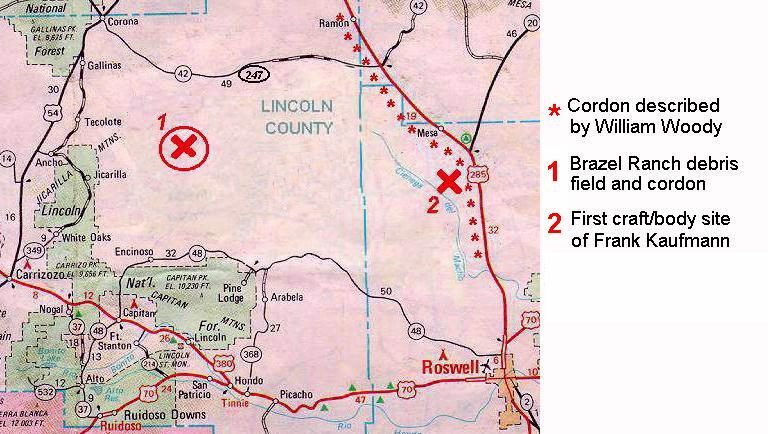 A. Marcel, intelligence officer, the disk was recovered on a ranch in the Roswell vicinity, after an unidentified rancher had notified Sheriff Geo. Wilcox, here, that he had found the instrument on his premises. recovered the disk, it was stated. or its appearance had been revealed. who saw what they thought was a flying disk. fast. He estimated between 400 and 500 miles per hour. a swishing sound for a very short time. treetops in the general vicinity of six mile hill. the details of what he had seen. 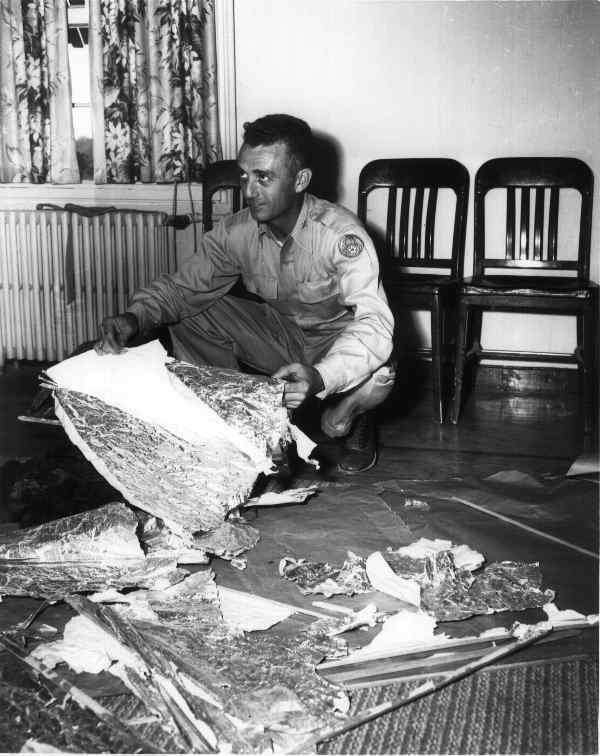 "In the Photo of above, Major Jesse Marcel is holding common Weather balloon pieces regularly seen by the Public at the time of the supposed Roswell Crash"
very commonly in peoples backyards. importance to national security and the public was not meant to know the TRUTH. 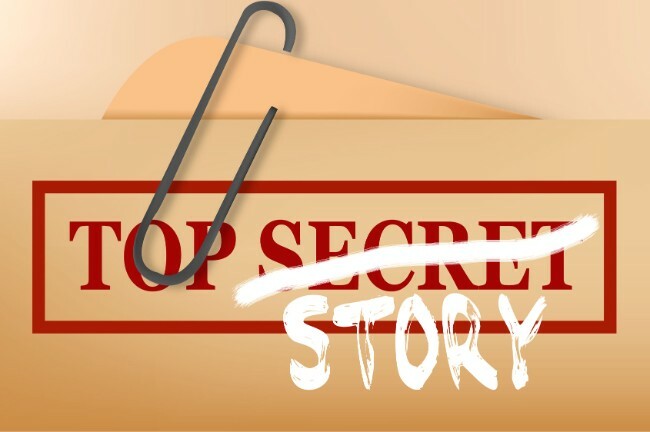 One of the First initial admittance by the military that something else took place at Roswell and was indeed a secret was the disclosure of there first public Disinformation effort. detonations and the acoustical signatures of ballistic missiles as they traversed the upper atmosphere. thing will automatically pop into their head: ‘Crashed UFO’. is at the heart of the case. Project Mogel involved high altitude tests of Human dummies. 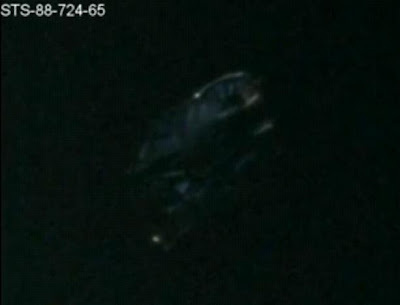 that the USAF had a crashed UFO in their possession. Sunday Mars 24 a man brought in the metal piece. was a part of the team that "cleaned up" after the crash. it in a vault until analysis. and all these elements are available across universe, including the earth. MOGUL that the United States Air Force claim is responsible for the crash. sent to the crash site, just after the incident was reported. some of us, and talked about the incident. and risk losing my career and commission. which I have had since his own estate was settled. Wright-Patterson AFB in Ohio from New Mexico. and in baggies for posterity. left out, and it is that element which I would like to share. and it was apparent, it's left leg was broken. Another group were exploring Mars, and Io. "launch ship" had a crew of (100) one-hundred. vortex around the Disc for 1,500 miles in all directions. resulted in the annihilation of the states of New Mexico, Arizona, California and portions of Mexico. Possibly even further states would have been affected. aircraft, that was to be sent to Washington, D.C.
en route to Washington, D.C.
and I don't blame you, Mr. Bell. my own desire to maintain my career and commission. prior to this Exercise, possibly from the Charleston area. discussion on the subject of UFO Phenomena. mind and are far beyond our ability to comprehend. Here, Officers Pose for the Press for The Roswell incident. The Officer on left in the Photo is holding a Letter in his left Hand. 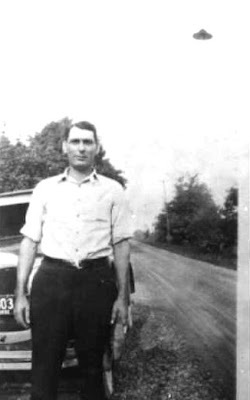 The message in the Photo at the time Officer Marcel posed for the press For the Roswell Incident. Existence of These Crafts Then NOT"
This was originally a “stereo” photograph. at least not from this world. 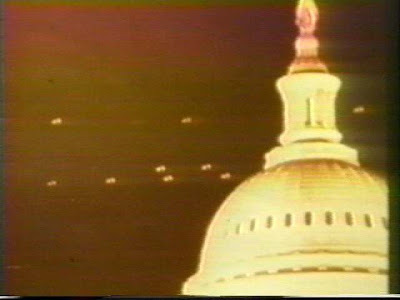 Puerto Rico 1988, Jet chases an Unidentified flying object. 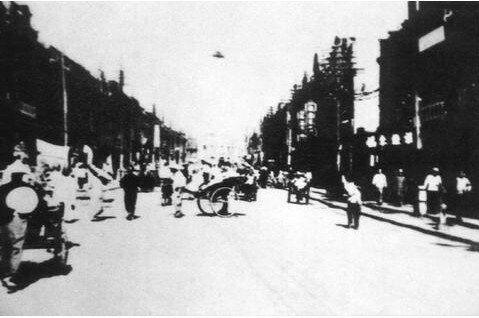 1940's old photo of ufo in back ground. to be a disk object over a tree in Red bud Illinois in the United States. 1. Can other possibilities be ruled out? UFO stands for unidentified flying object and does not automatically equate to alien spacecraft. Before even considering the most extraordinary possibility, look at more down to Earth options such as conventional aircraft, an out of focus light, meteor, or even a bright planet. 2. Is there a RAW file/film negative? These formats are virtually tamper-proof. If all the photographer can do is present a printed photo, but no original negative/RAW, there is a good chance that the photographer is trying to hide something, probably retouching. If there was a RAW/negative, this does not imply truthfulness, but merely that something was photographed and not superimposed later. 3. Has the image been submitted to experts for analysis? Again, a sure sign that someone is trying to hide something is when someone comes forward with a picture but then refuses to let a professional look at it. If the photo is real, why wouldn't the photographer want it authenticated? 4. Additional claims. Taking a picture of a UFO is one thing. 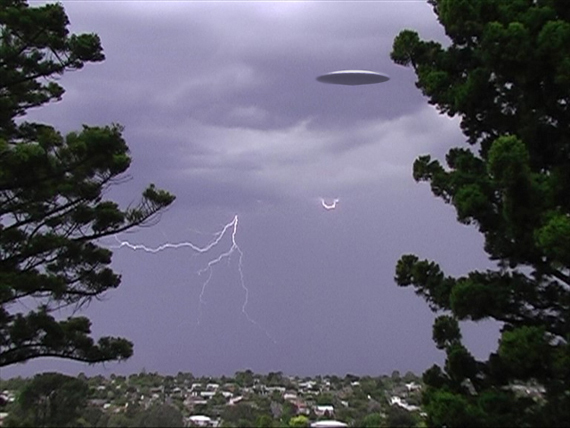 Taking a picture of a UFO while claiming to be in contact from alien beings from another galaxy is quite another. Another red flag is multiple photographs by the same person. What is the chance that one person would be so lucky as to see truly mysterious UFOs multiple times when many people never see one at all? 5. Has the person sought fame and/or profit? Granted, coming forth with a UFO photo will generate some attention for the photographer, but does the photographer then seem to try and stretch the 15 minutes of fame into an hour? Also, has the photographer actively sought financial gain? If the photographer seems more interested in money/fame than anything else, chances are that there is trickery afoot. 6. Does the person have a history of being a liar/practical joker? Whether a calculated effort to fool the public/experts or just a big joke that gets out of hand, claims from any person with a reputation for being less than truthful, whether out of fun or malice, should be regarded as suspicious. 7. Does the story change? A telltale sign of a person lying is an inability to tell the same exact story twice. If the person is interviewed by multiple media outlets and the story is slightly different every time, suspicion should, rightfully, be high. 8. Does the photo look too good? This is a question with two possible answers. 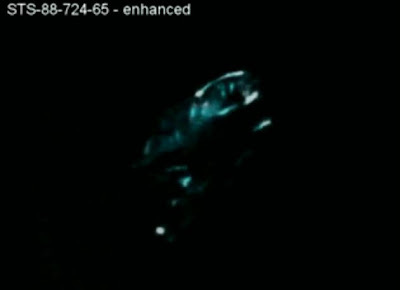 If a photo showing the finest detail on a UFO surfaces, it is either the most important image in world history or a blatant fake. 9. If other people are in the image, what are they doing? A UFO is sure to create some attention, especially if it is close. 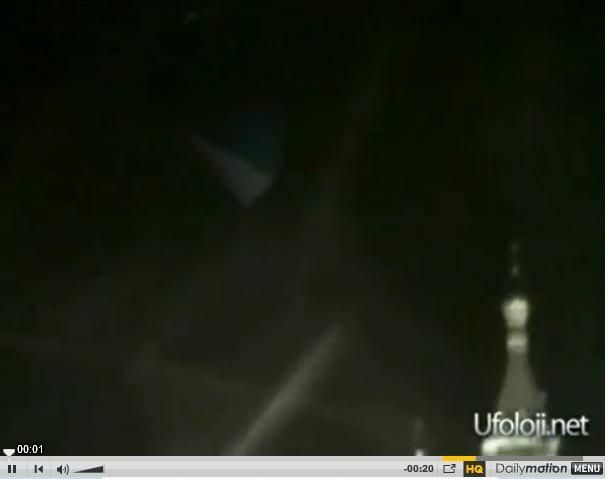 If an image arises that shows a UFO up close and there are people in the photo/video, what are they doing? They should be absolutely transfixed. There is nothing funnier than watching video of a flying saucer at treetop height with people walking around on the ground completely oblivious to what is going on. 10. Is there independent verification? While not hard physical evidence, two people who have never interacted with each other telling the exact same story can be compelling circumstantial evidence. The big catch here is the time frame. 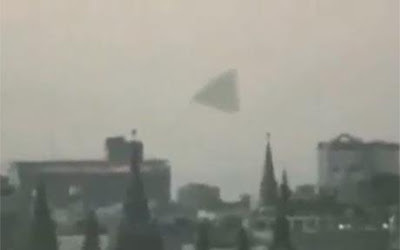 If one person is reporting a close encounter today and this is reported in the media and another person reporting the same thing surfaces tomorrow, chances of the second person being honest go down. 11. Is the photographer anonymous? 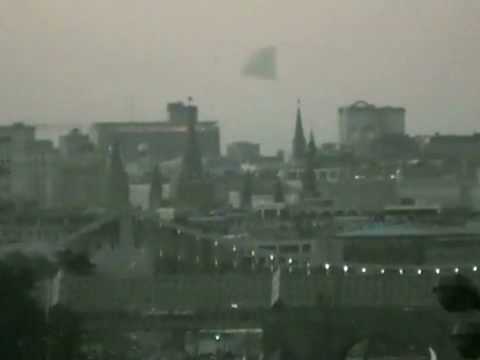 True, coming forward with the story of having seen and photographed a UFO will often open the door to some ridicule, but if the photo is real, isn't the possibility of being a person who has potential to help solve the UFO mystery more important? In the end, it is always good to balance skepticism and open-mindedness. Are These High Technology Vehicles Or Hoaxed Images? sounds, and extreme vibrations are, ever present in close proximity to these craft. with many things we see in our modern world and the realm of science fiction. Courtesy Insane mclaren videos for free! "Some possible designs of these Vehicles"
and briefly shows the drive unit glowing in operation. The film is in Russian and we are awaiting a translation. Admiral Byrd and the planes on the deck of the aircraft carrier. As Video camera's and Photographic camera's get more higher Quality, so does the images being presented by the public. 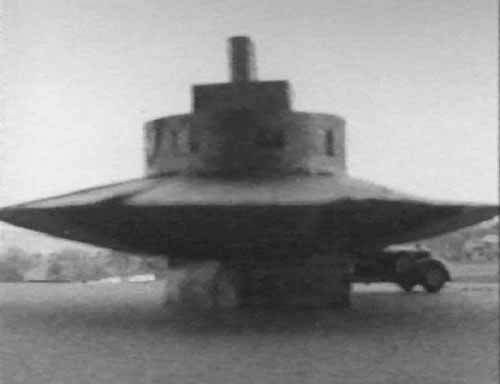 Old black n white Photo showing U.F.O disk shaped craft in background. More evidence to support these vehicles are not ours. 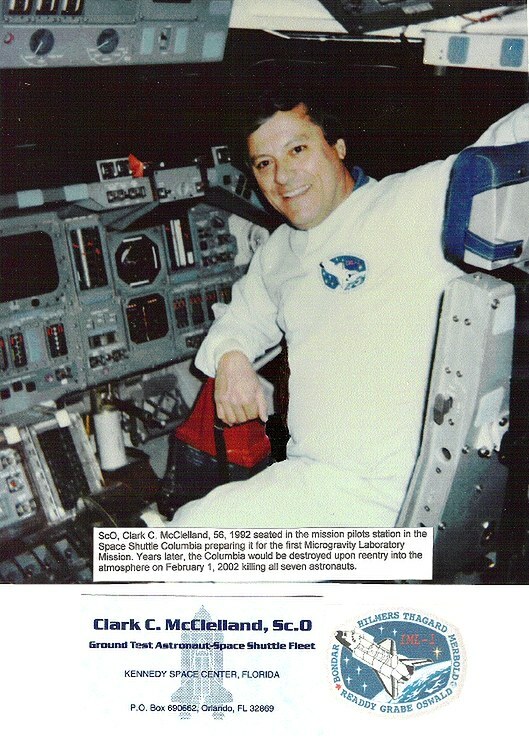 being operated by astronaut Claude Nicolier"
U.F.O Squadron over the White House Washington. over the White House, the Capitol building, and the Pentagon. 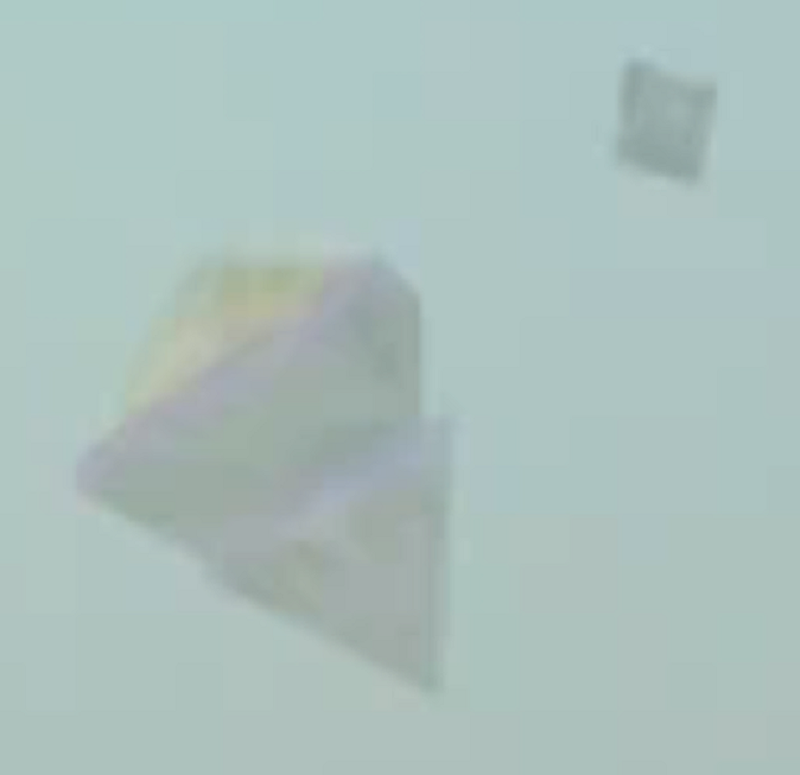 S.T.S Stands for 'Space Transportation System' these missions use satelites to take high resolution images. hardly be interpreted as anything but a spacecraft. because this one is quite Interesting don't you think? 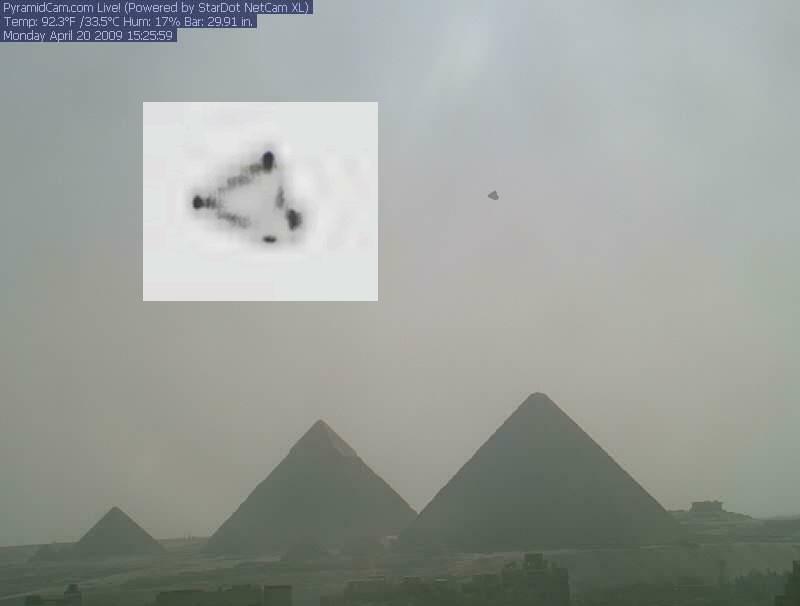 the same Object "PYRAMID UFO"
thousands around the world ? circular craft that hovered above. Alarm sirens are started as flying objects are seen in the sky. plated color. None seemed to be damaged by the guns. 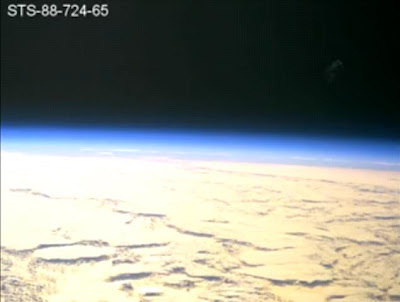 that has nothing to do with "So called space debris"
the other and open up. energy of light emitting from the ground. 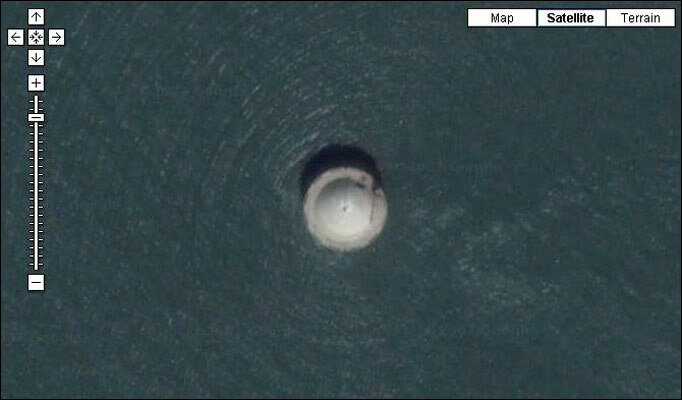 Norway spiral Near Military Base. This is what a rocket spiraling out of control looks like. This is the SPIRAL PHENOMENA happening around the world. 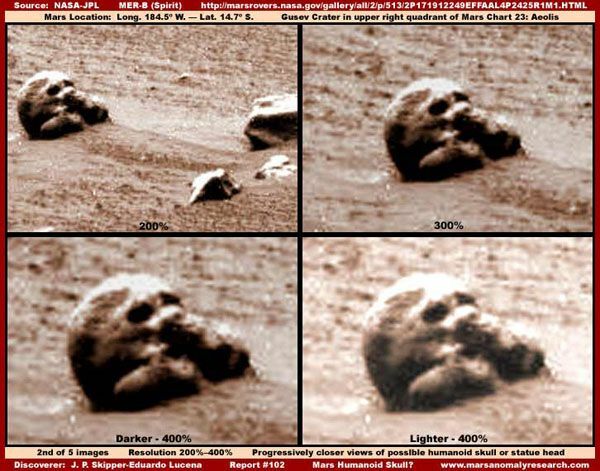 Mars Rover has shown many unusual objects that differ from what N.A.S.A says about "No life on Mars" This image below resembles a skull of some sort, or a very impossible naturally occurring formation which is highly doubtful. The Red Planet, this name has to appear in every article of the main-stream press on Mars. 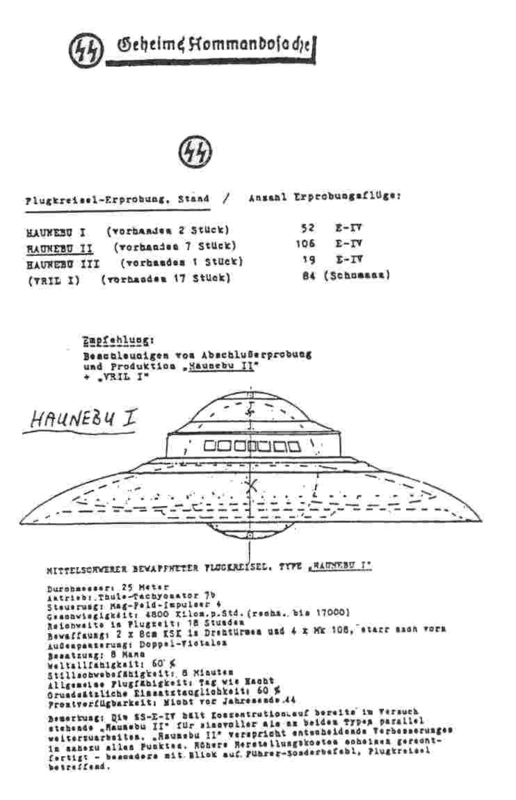 The same importance play the little green men in contributions of renowned daily German papers such as Frankfurter Allgemeine Zeitung or Sueddeutsche Zeitung published on the Mars meteorite ALH84001. 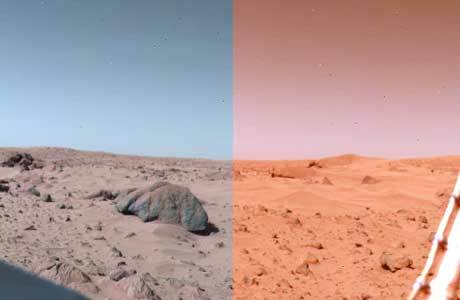 Without doubt, the planet appears red with the naked eye in the night sky, whereby our earth viewed from Mars, would appear clearly blue, due to the 70% water coverage in connection with refraction of light in the atmosphere. With a reverse relation of the water land distribution however, rather a brown-green planet would be to be seen from space. The color of the atmosphere, caused by Rayleigh Scattering at gas molecules, determines thus only in very small amount the color of a planet as seen from space and also directly on the surface! So why would n.a.s.a adjust the Colours to make it red when actually its a blue Planet ? The answer is simple. 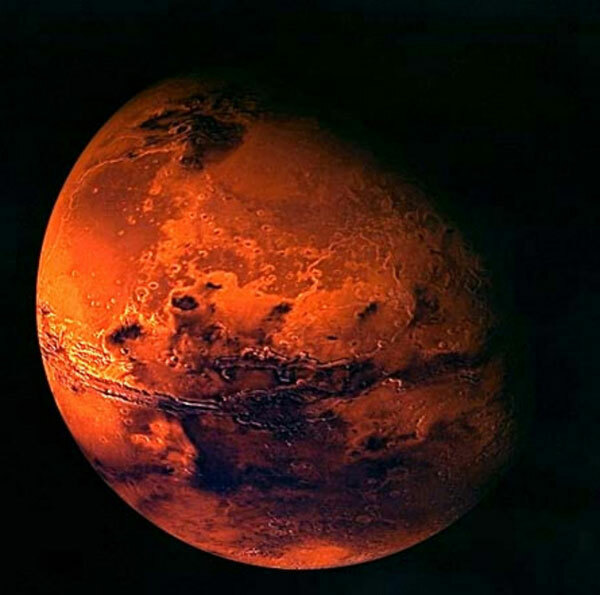 Red planet, Lower chance of life. Blue Planet, More chance of life. 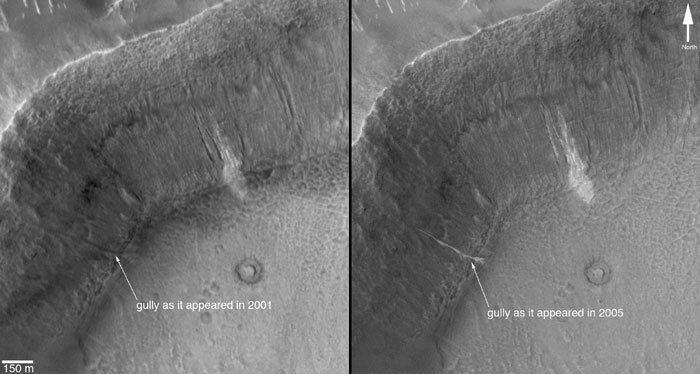 Mars Rover Landed on Mars in January 2004 for a three month mission to search Gusev Crater, a rock strewn stretch of soil that scientists believe could be the bed of an ancient lake. 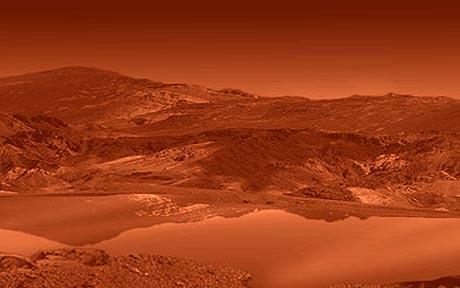 If Mars once had surface water, it had the potential to support life. TUSCON, Arizona – Scientists relishing confirmation of water ice near the surface beside NASA’s Phoenix Mars Lander anticipate even bigger discoveries from the robotic mission in the weeks ahead. “It is with great pride and a lot of joy that I announce today that we have found proof that this hard bright material is really water ice and not some other substance,” said Phoenix Principal Investigator Peter Smith of the University of Arizona, Tucson, during a Friday news briefing to announce the confirmation of water ice. What your not Meant To Know. So we Now can Conclusively say, YES, there is water on other Planets Like mars and has been Officially confirmed. "Where there is Water, there Is LIFE"
…photographs have revealed bright new deposits seen in two gullies on Mars that suggest water carried sediment through them sometime during the past seven years. “These observations give the strongest evidence to date that water still flows occasionally on the surface of Mars,” said Dr. Michael Meyer, lead scientist for NASA’s Mars Exploration Program, Washington…Today’s announcement is the first to reveal newly deposited material apparently carried by fluids after earlier imaging of the same gullies. 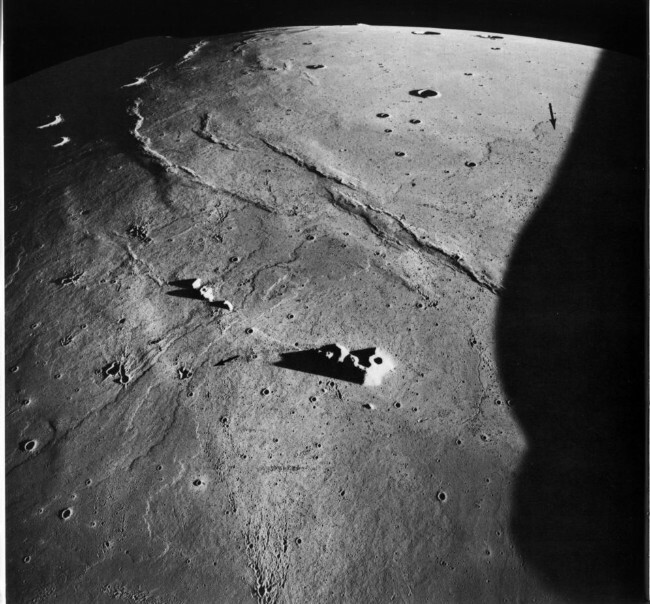 The two sites are inside craters in the Terra Sirenum and the Centauri Montes regions of southern Mars. 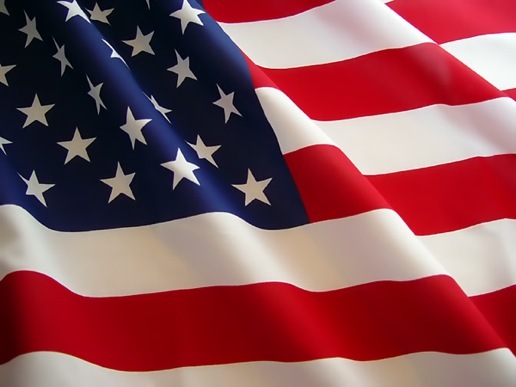 The U.S.A Official stance on U.F.O's is, THEY DO NOT EXIST. The Great Filter is the idea that there is some single, almost insurmountably improbable barrier on the path to the stars that explains why we’ve never seen any sign of alien life. It combines aspects of astrology, biology and history to arrive at one inescapable conclusion: university professors dream of book deals. Robin Hanson of George Mason University posits a “Great Filter” that prevents the rise of intelligent, self-aware, technologically advanced, space-colonizing civilizations. The “filter” would be one or more improbable steps along the path that starts with the creation of a planet and ends with a race capable of colonizing the galaxy. Somewhere between those two points, philosopher Nick Bostrom points out, “the Great Filter operates, and it must be powerful enough that even with all the billions of possible starting worlds on which life might evolve – all those rolls of the cosmic dice – one ends up with nothing: no aliens, no spacecraft, no signals, at least not in neck of the woods. Edger Mitchell, The Sixth man to land on the Moon say's U.F.O's Exist. NASA astrobiologists have discovered a new organism that is unlike anything ever seen before on Earth. The discovery challenges the long held assertions about how life might evolve on alien planets, and could change the way we look for life in the universe. Alien life has been among us all along, according to new biological findings announced by NASA Thursday. Research conducted by biochemist Dr. Felisa Wolfe-Simon from the U.S. Geological Survey has turned the quest for alien life on its ear, suggesting that phosphorous, carbon, and the other fundamental elements found in every living thing on Earth aren't the only signs of life. Wolfe-Simon explained the findings at a hotly anticipated NASA press conference. 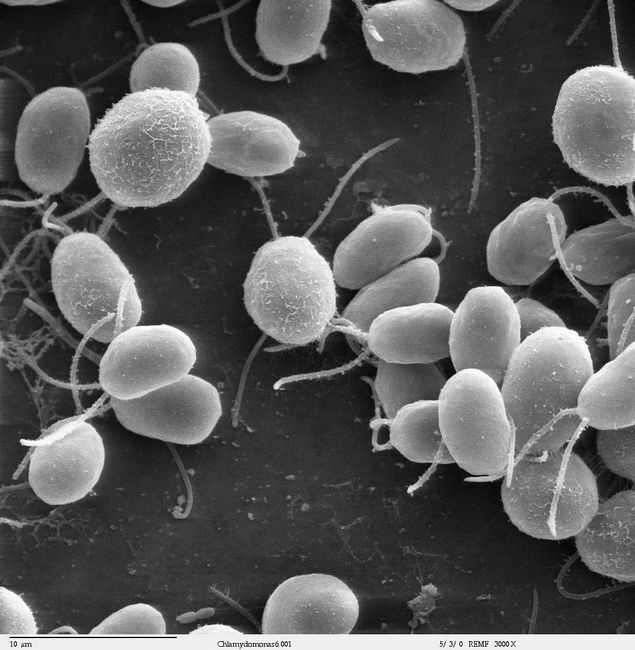 This Microbe is believed to be 'Another Genesis', meaning A totally separate evolution of life here on Earth. Givin enough time, this micribe could Develop into a more advance species and possibly even a technological stage of life. What if Alien life has Already occured elsewhere in the Universe ? 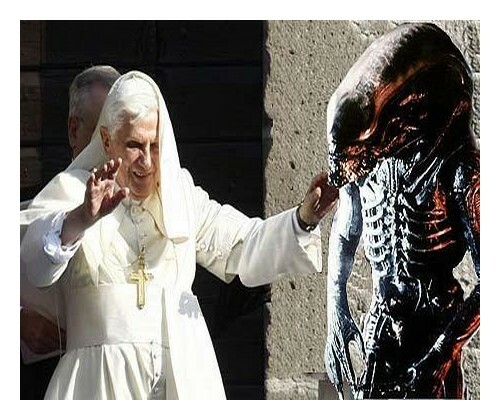 Alien life is no longer a laughing matter according to the Vaticans new age approach to this matter. These Modern days, Alien Life isn't such a crazy idea as it was 50 years ago. So could there be Truth to other Findings around the World that have yet to be Published on a World Scale ? Evidence that life exists on Titan, one of Saturn’s biggest moons, appears to have been uncovered by Nasa scientists. Researchers at the space agency believe they have discovered vital clues that appeared to indicate that primitive aliens could be living on the moon. Data from Nasa's Cassini probe has analysed the complex chemistry on the surface of Titan, which experts say is the only moon around the planet to have a dense atmosphere. They suggest that life forms may have been breathing in the planet’s atmosphere and also feeding on its surface’s fuel. 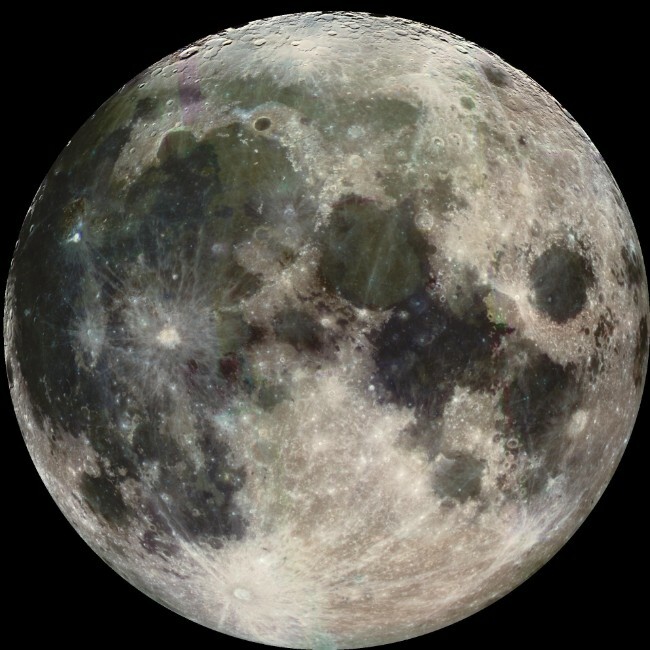 Astronomers claim the moon is generally too cold to support even liquid water on its surface. 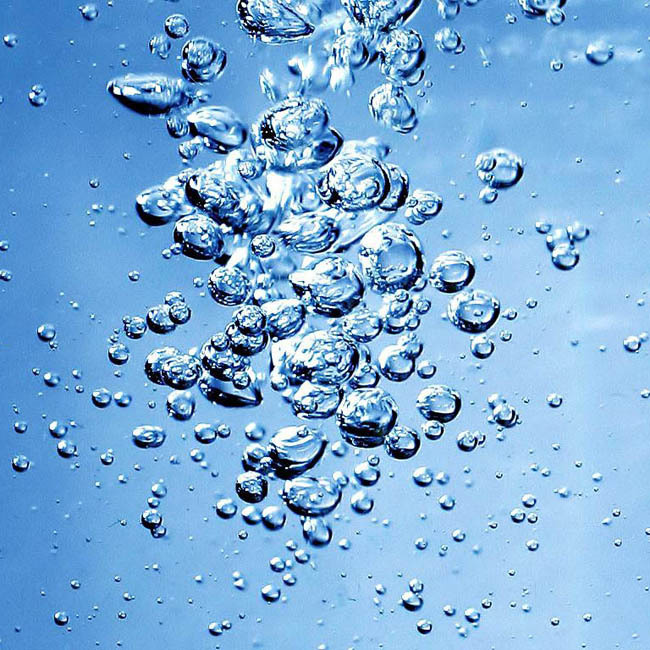 "The research has been detailed in two seperate studies"
The first paper, in the journal Icarus, shows that hydrogen gas flowing throughout the planet’s atmosphere disappeared at the surface. This suggested that alien forms could in fact breathe. The second paper, in the Journal of Geophysical Research, concluded that there was lack of the chemical on the surface. Scientists were then led to believe it had been possibly consumed by life. 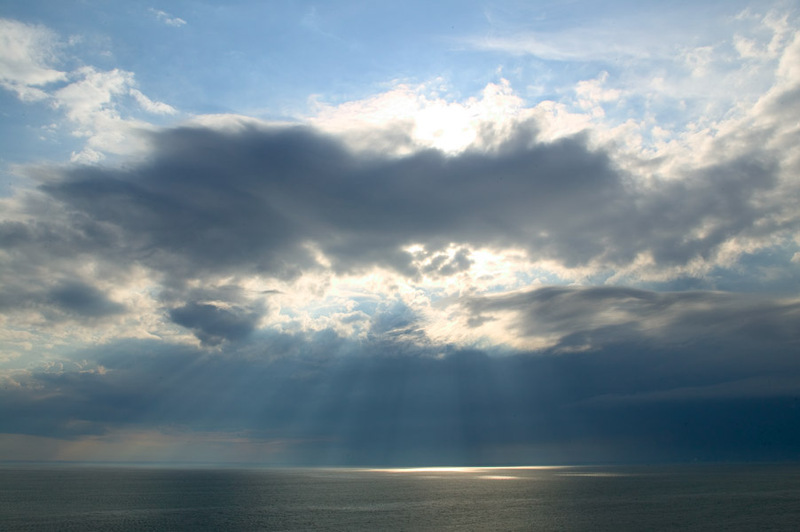 Researchers had expected sunlight interacting with chemicals in the atmosphere to produce acetylene gas. But the Cassini probe did not detect any such gas. Chris McKay, an astrobiologist at Nasa Ames Research Centre, at Moffett Field, California who led the research, said: “We suggested hydrogen consumption because it's the obvious gas for life to consume on Titan, similar to the way we consume oxygen on Earth. Professor John Zarnecki, of the Open University, added: “We believe the chemistry is there for life to form. It just needs heat and warmth to kick-start the process. They warned, however, that there could be other explanations for the findings. But taken together, they two indicate two important conditions necessary for methane-based life to exist. Vast amounts of water and simple organic molecules that are precursors of the building blocks of life have been found in the dust and rubble swirling around a young star similar to our own sun. The evidence was found by analysing the infra red light sent out by the disk of material that is forming planets around the star AA Tauri, some 450 light years away, in a study by Nasa's Spitzer Space Telescope. The discovery comes as a British team reports new evidence of how our own solar system was richer in life's raw materials than previously thought. The "spectral fingerprints" seen by the space telescope in the cradle of planet formation suggest abundant water and simple organic molecules are present in the inner disk of dust and gas surrounding the very young star which is thought to be similar to our early sun, a common kind scattered throughout our galaxy. The new observations reveal the chemical precursors of amino acids, the building blocks of proteins, up to three times the distance from the Sun to our own Earth. Astronomers believe that this may offer a unique glimpse of the emergence of life in our own solar system, including the possible seeds of early life. Until recently, most of the clues about the chemical composition of the early solar system have come from primitive comets and meteorites. 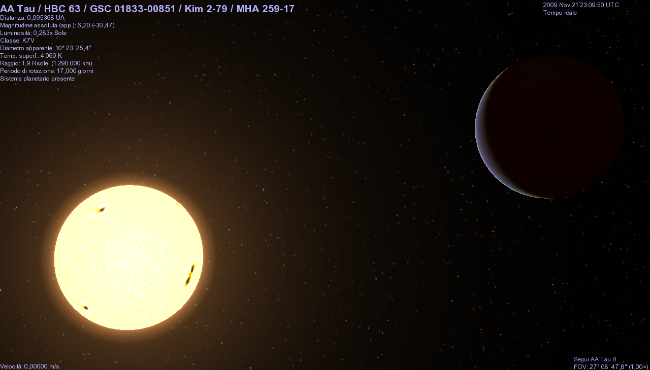 Drs John Carr of the Naval Research Laboratory in Washington, and Joan Najita of the National Optical Astronomy Observatory in Tuscon, Arizona, report in the journal Science that AA Tauri's inner disk where terrestrial planets form contains water, carbon dioxide, acetylene, hydrogen cyanide and other simple molecules, implying that some sort of organic chemistry is taking place in the disk. A similar process may occur in disks surrounding many young stars in the cosmos "to enhance the amounts of these building blocks of life", says Dr Carr. The protoplanetary disk may be a dynamic environment in which large particles, dragged inward by the star's continuing gravitational collapse, supply water and organic molecules to the inner disk to drive the foundation chemistry of life. 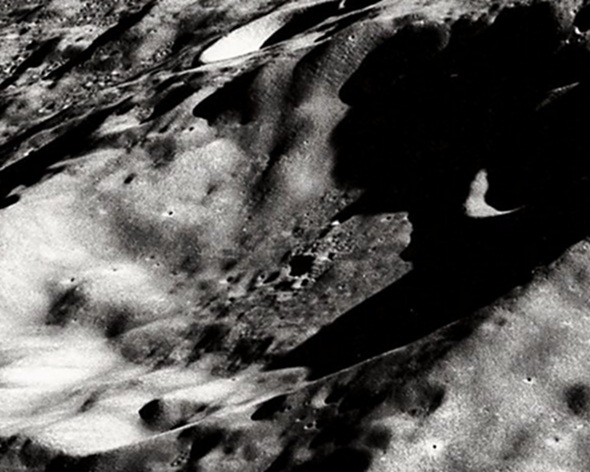 Could there be Life on the Moon ? We're all familiar with the phrase "the man in the moon," the idea that the full moon looks like a human face. But what about this far-out notion: Could there be aliens on the moon watching humankind from a relatively close distance? That's a meaty question that brings out emotional responses from anyone you ask. 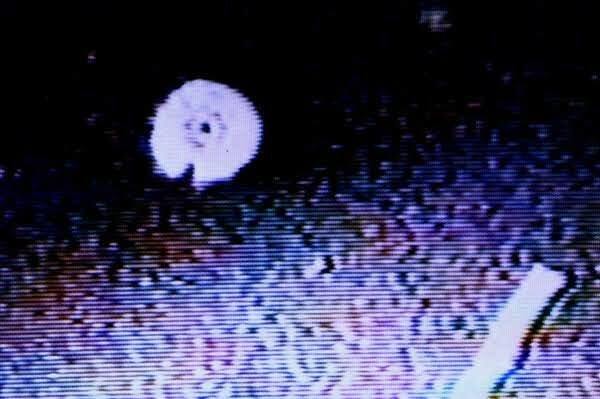 For decades, researchers have claimed that strange objects have been seen on or above the moon -- things that shouldn't be there. 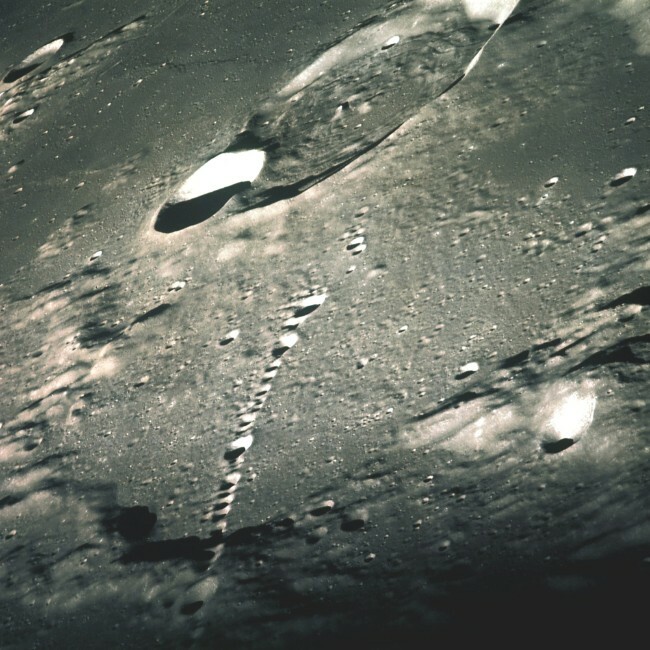 Note, in this Photo Above 'there is a Very large shadow that engulfs the Surface of the Moon' too large to be a mear shadow casted by our satelites or space crafts. So what could cause this ? From mysterious pyramid shapes to unusual moving lights to tall towerlike objects to geometrically oriented buildings and huge glasslike dome structures. Stories and pictures abound claiming that Earth's next-door neighbor is loaded with extraterrestrial artifacts. Do you realy think your alone ? Art bell is a well known Radio talk show host, he talks about alot of the popular subjects and the not so popular. In this candid conversation About Area 51, a former Employee shares his side of the story with Chilling tales of Aliens Amongst Us. "THERE ARE THOSE WHO BELIEVE ONLY THERE OWN TRUTH"
"AND THERE ARE THE PEOPLE WHO SEARCH THROUGH ALL THE LIES AND DECEPTION TO FIND WHAT IS REALY THERE ALL ALONG"
Nasa admiting, Alien space craft. Our Journey through life is filled with lies and deception. look around, for you shall only find the truth that is given to you. Open your mind and Seek beyond to see what was there all along. Somewhere in your mind, you know. GO to Page 2, "MIDDLE"
and Share Your Views and Oppinions with Others. This site may contain copyrighted material the use of which has not always been specifically authorized by the copyright owner. 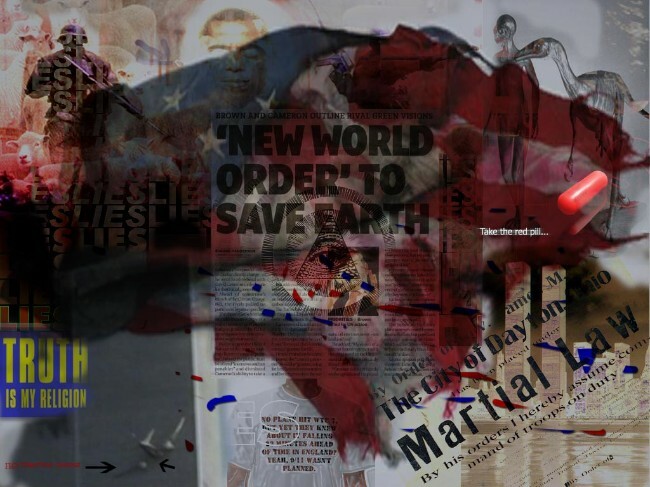 Users may make such material available in an effort to advance awareness and understanding of issues relating to current affairs, civil rights, economics, individual rights, international affairs, liberty, science & technology, cosmic events, and current breaking events. This constitutes a 'fair use' of any such copyrighted material as provided for in section 107 of the US Copyright Law. 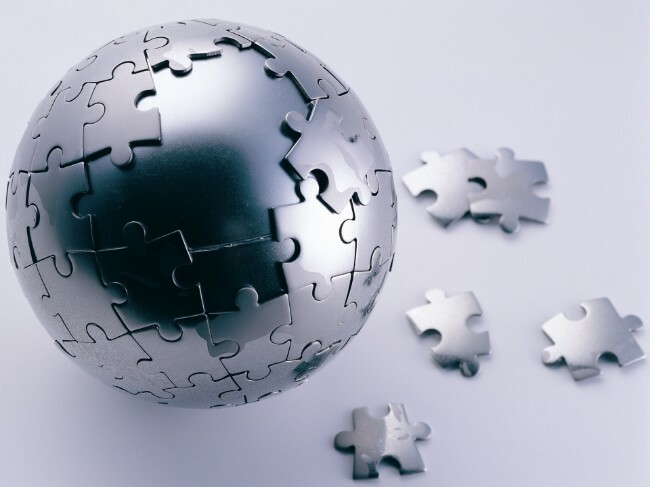 In accordance with Title 17 U.S.C.Section 107, the material on this site is distributed to those who have expressed a prior interest in receiving the included information for research and educational purposes. 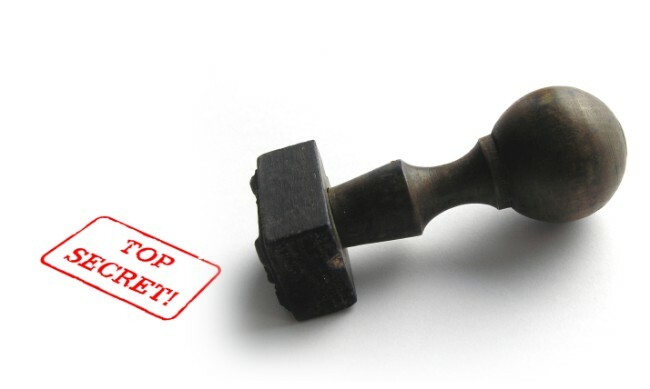 If notice is given of an alleged copyright violation http://pzzled.yolasite.com will act expeditiously to remove or disable access to the material in question. If you require a courier address please email/call the admin at http://pzzled.yolasite.com and you will be provided with the required information. All 3rd party material posted on this website is copyright the respective owners / authors. makes no claim of copyright on such material. Please be aware any communications sent to http://pzzled.yolasite.com may be posted forum for public viewing. This Disclaimer, website, or forum are subject to change at anytime. Mail us with questions or comments about this website and forum to pzzled@hotmail.com.